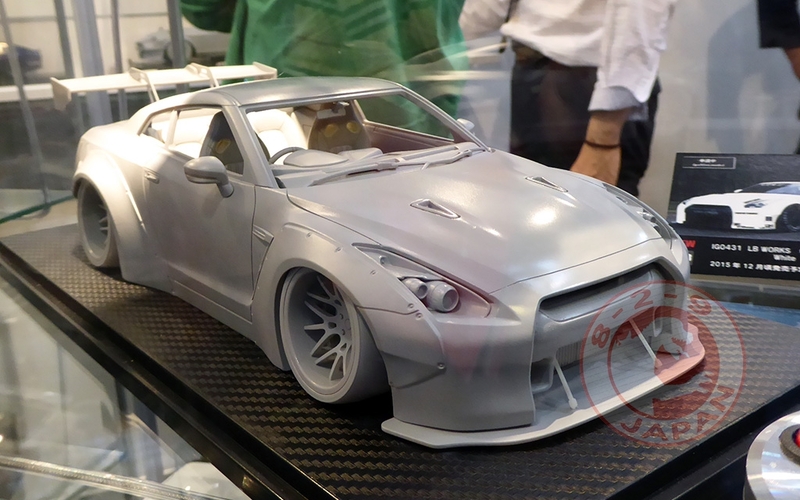 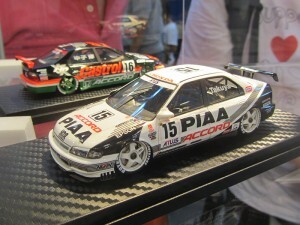 Once again Kyosho’s booth was one of the biggest, the most part being occupied with RC cars. 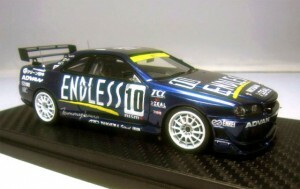 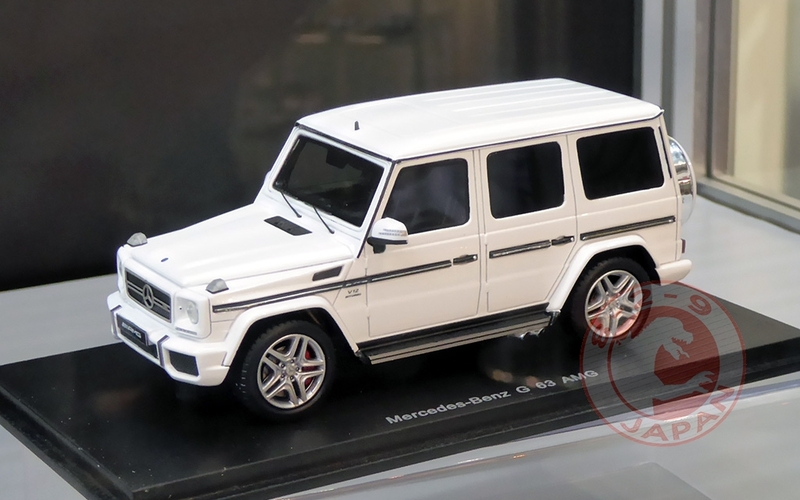 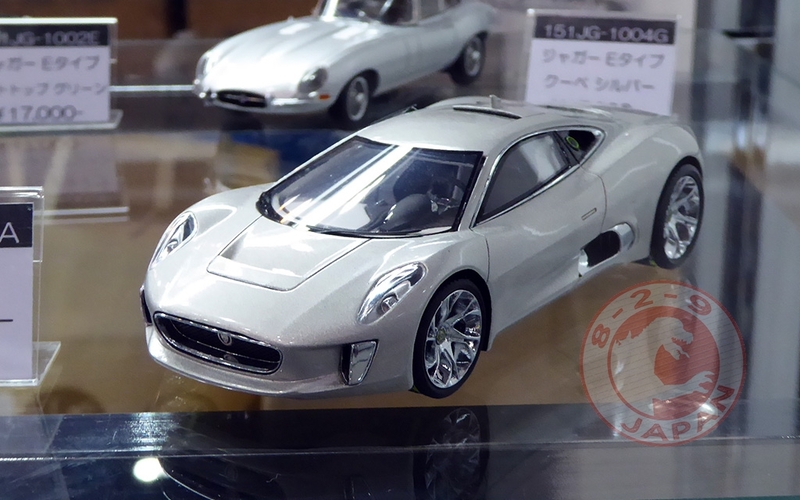 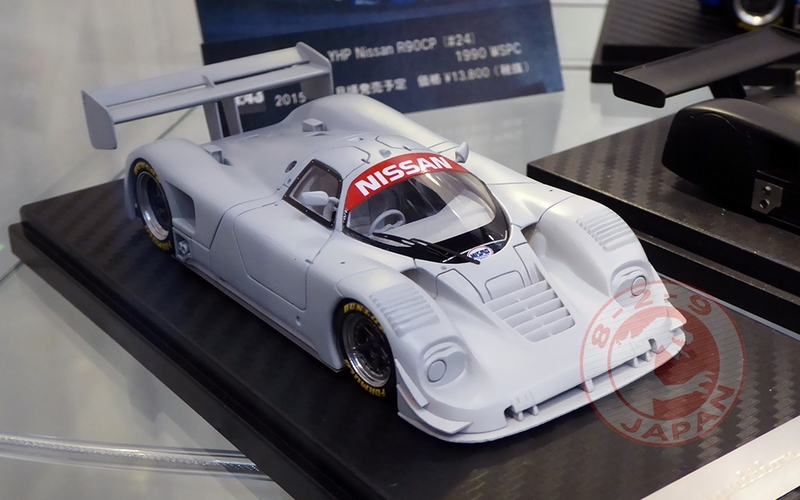 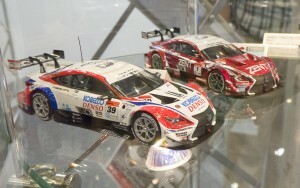 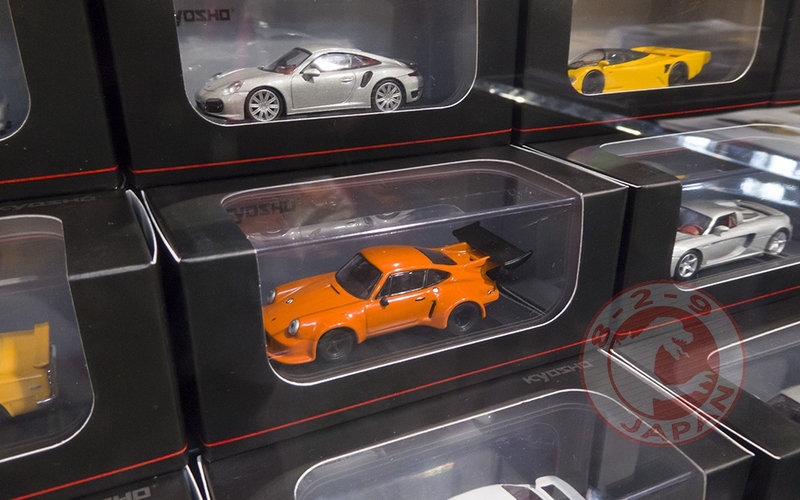 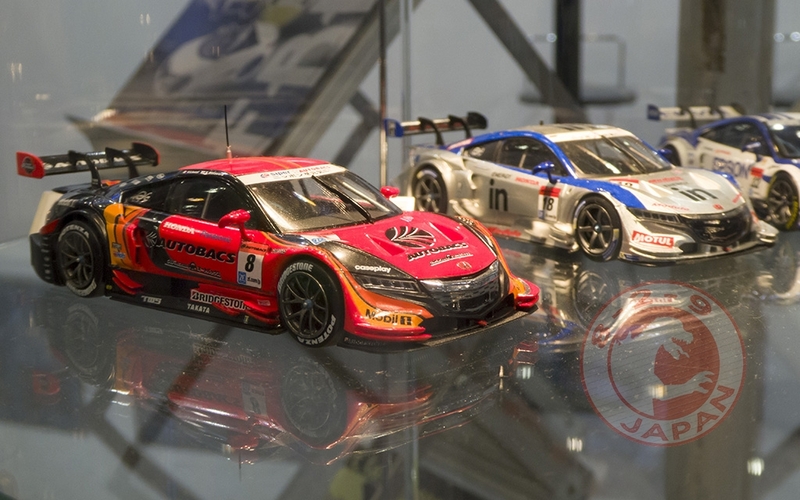 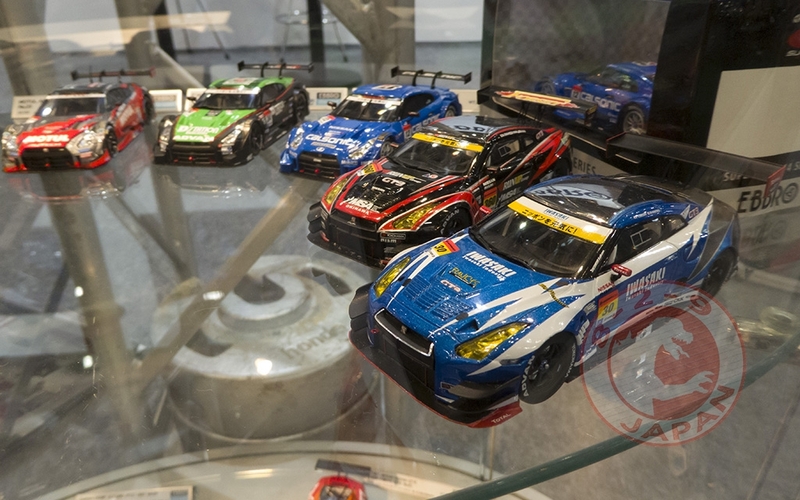 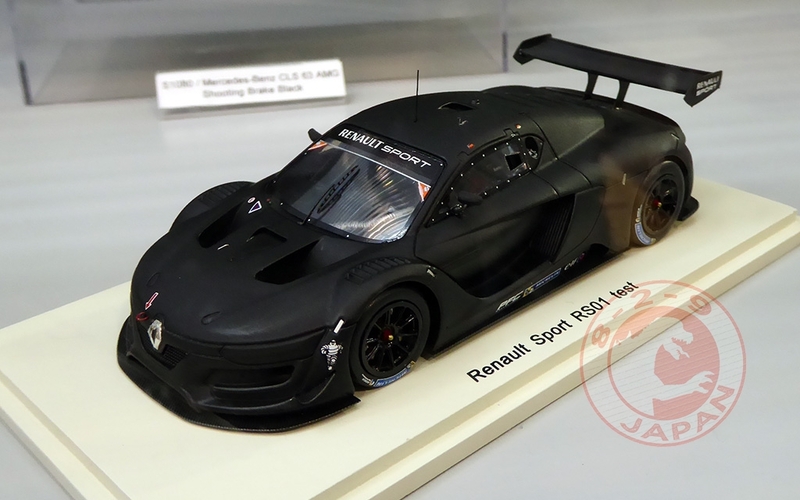 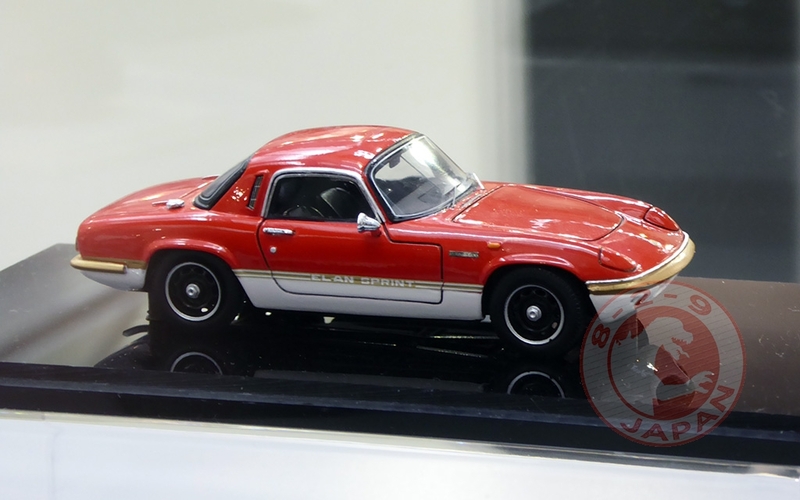 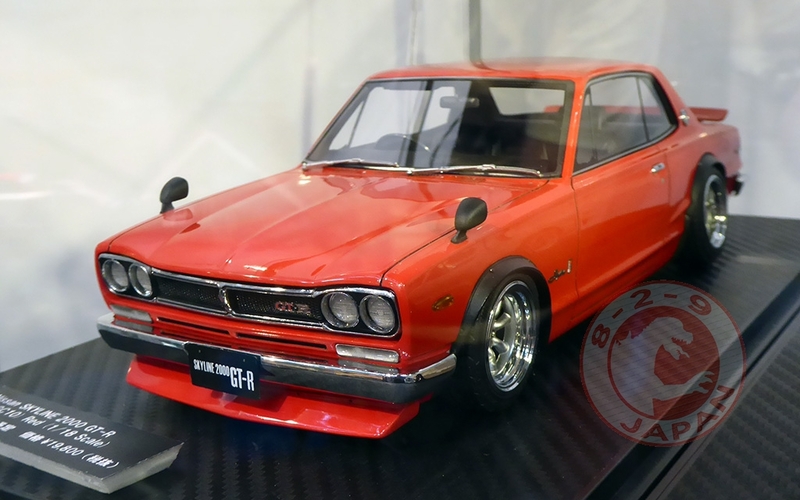 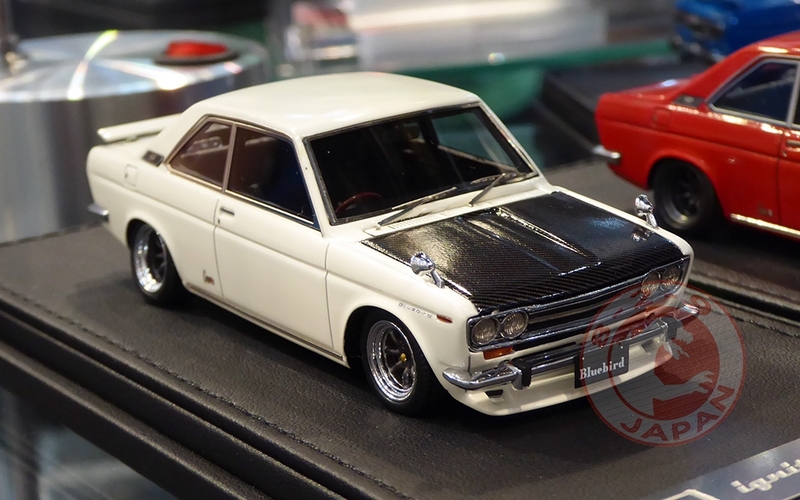 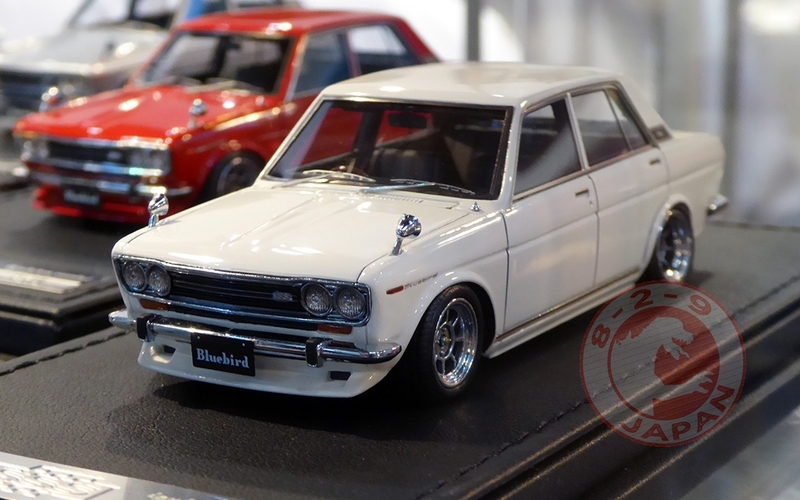 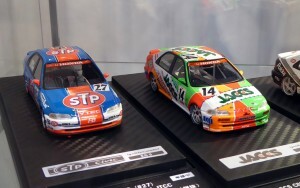 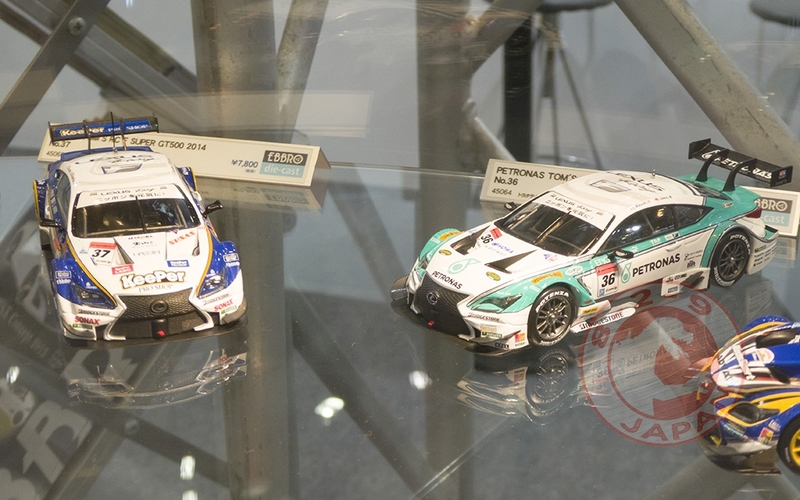 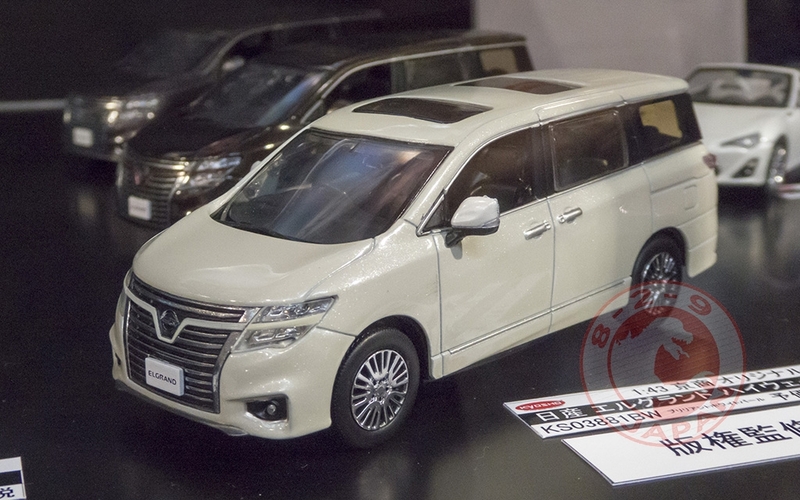 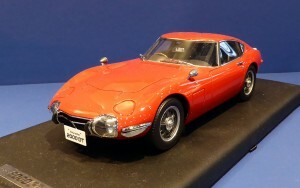 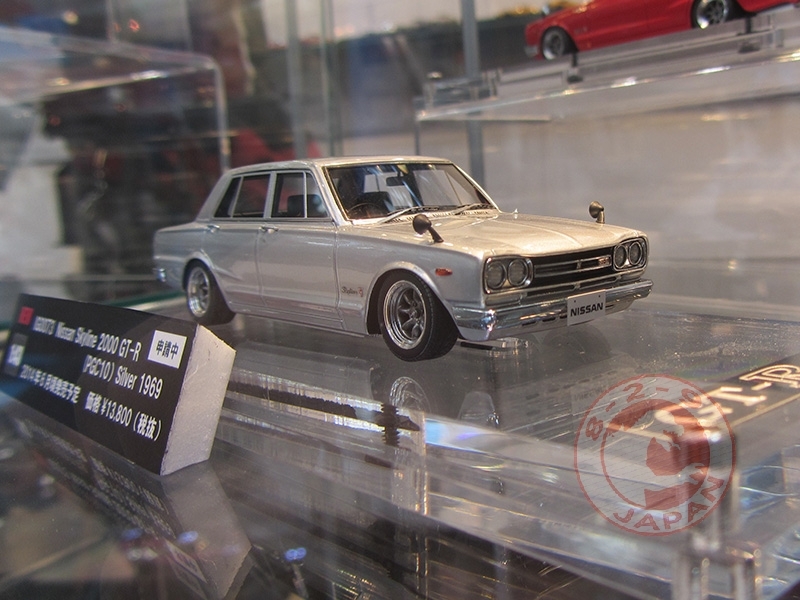 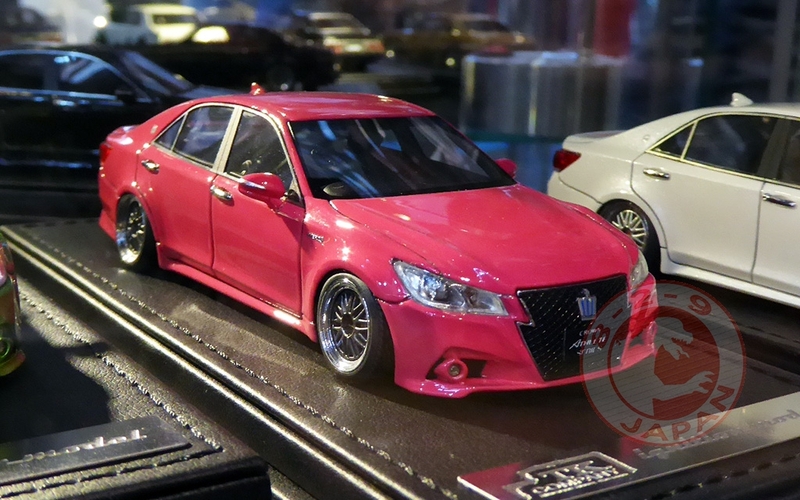 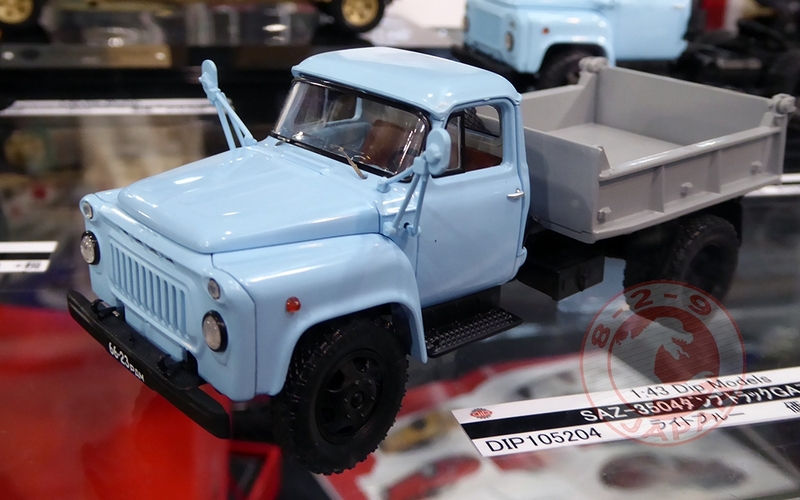 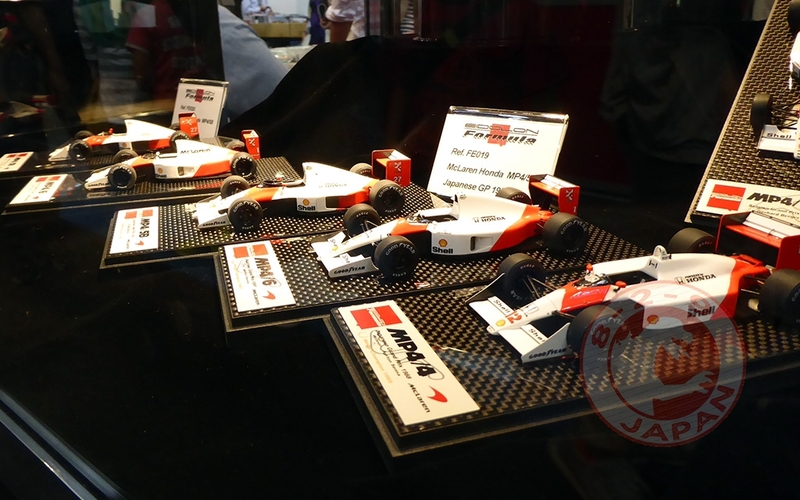 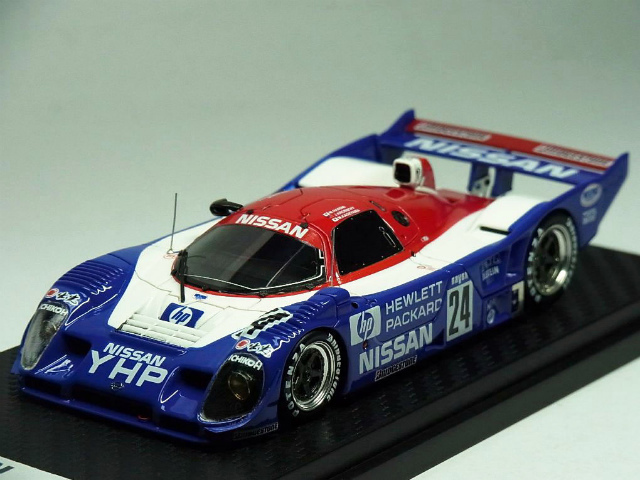 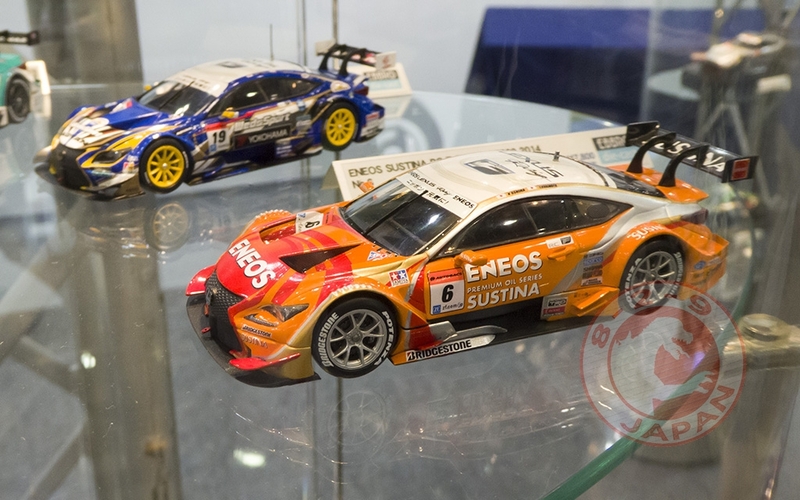 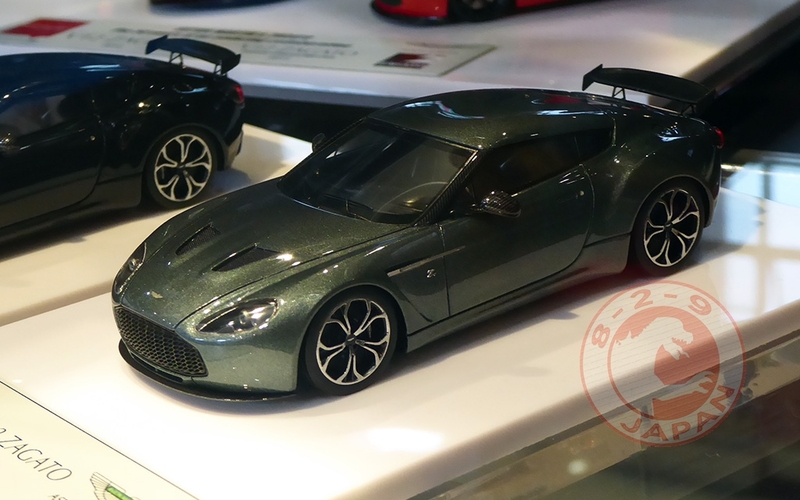 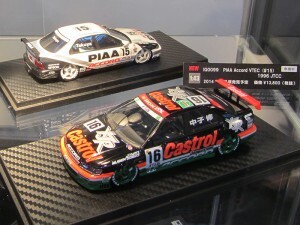 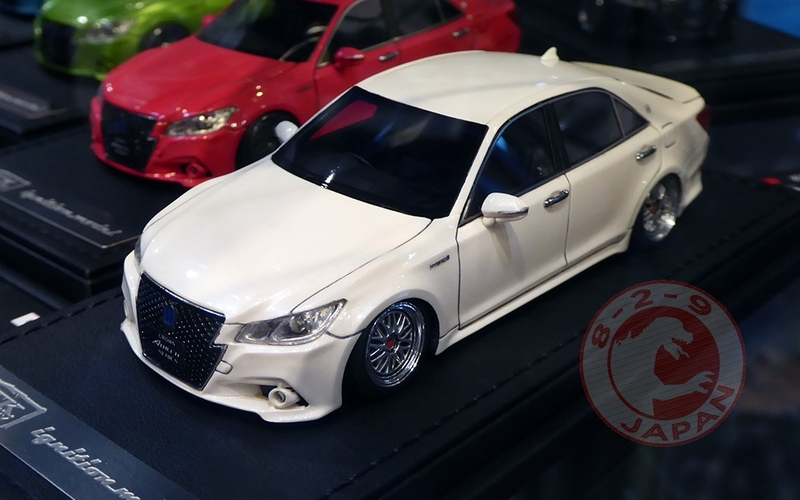 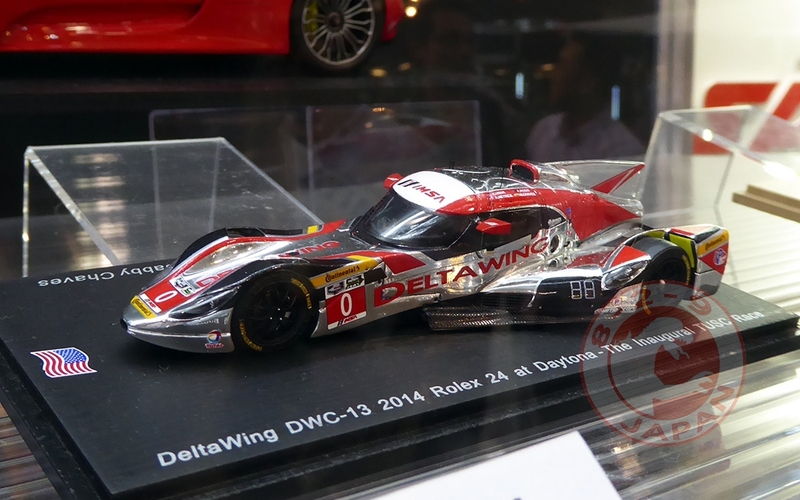 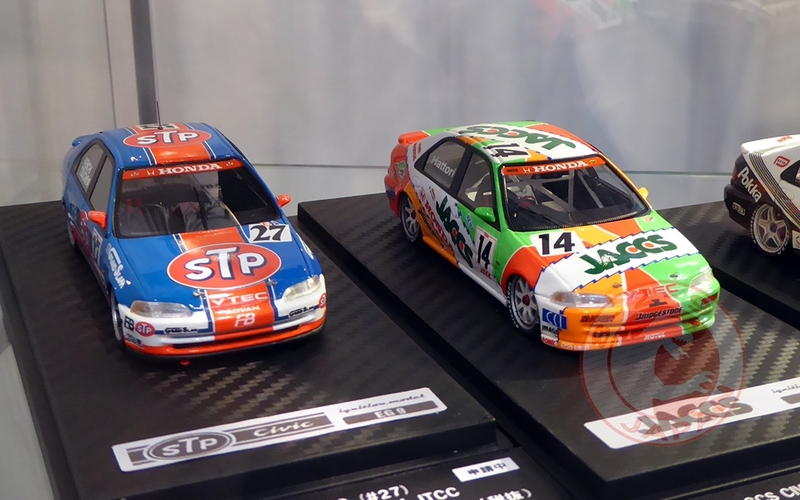 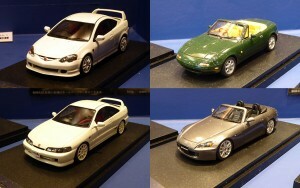 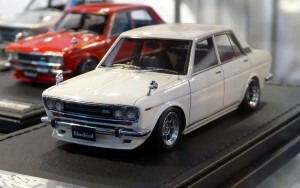 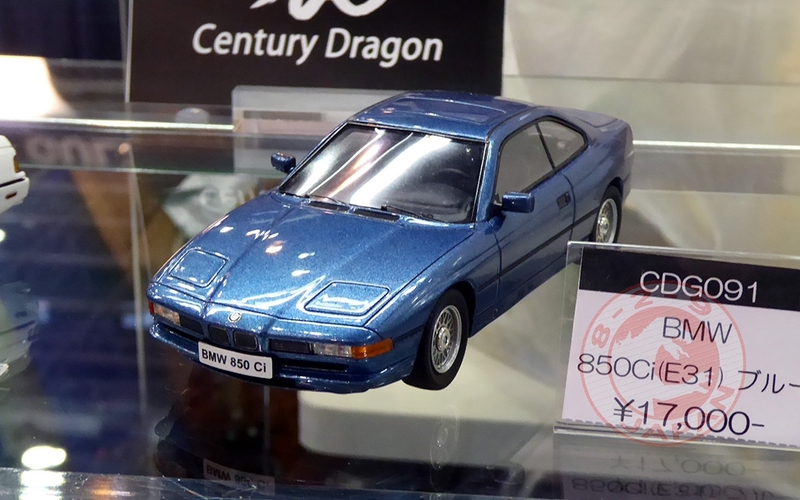 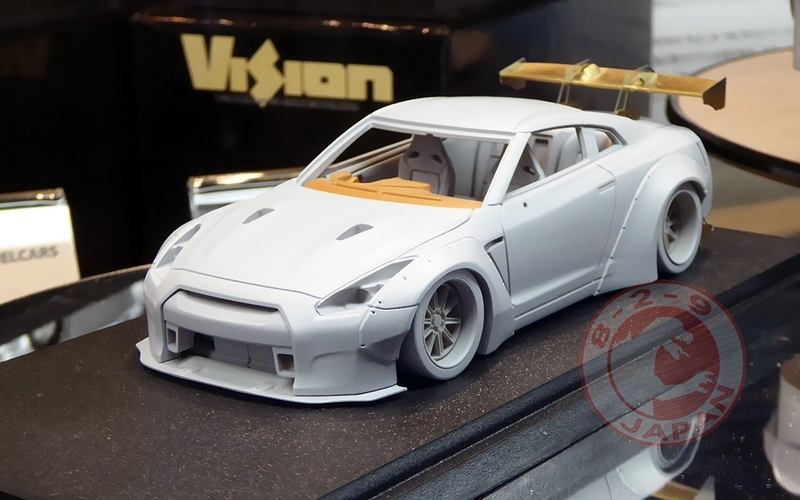 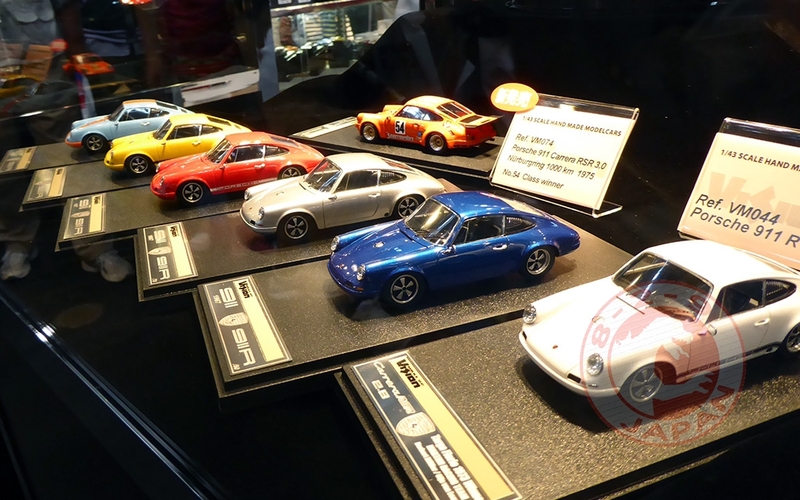 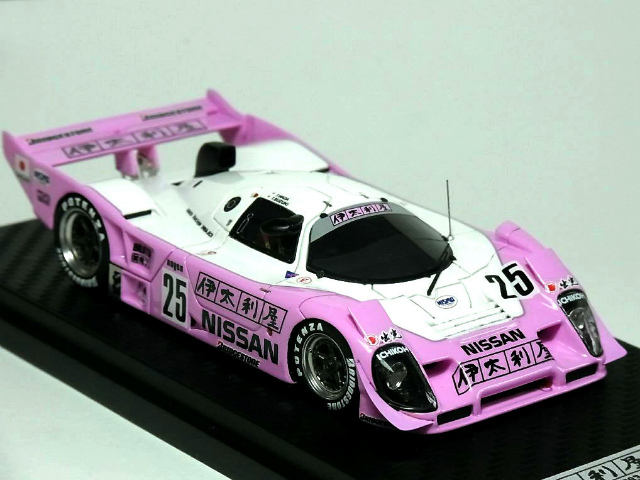 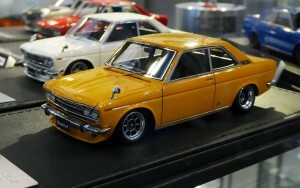 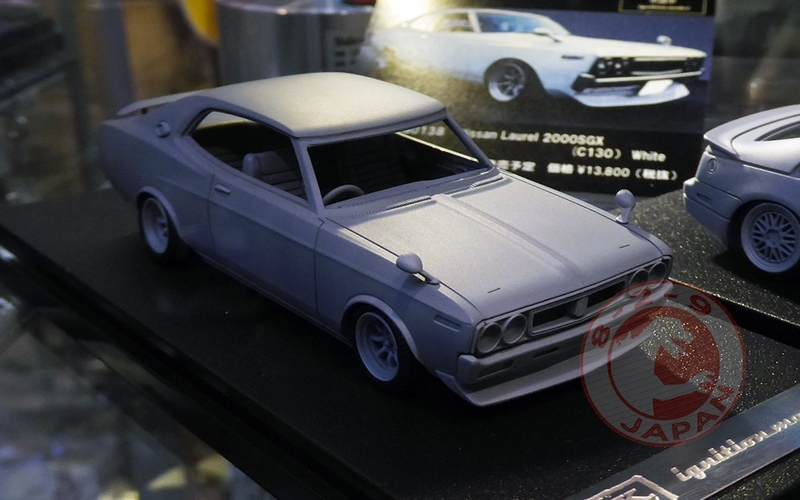 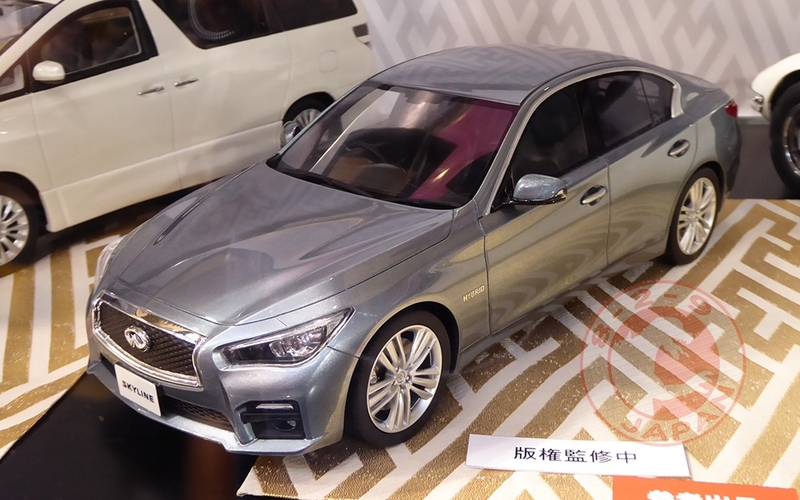 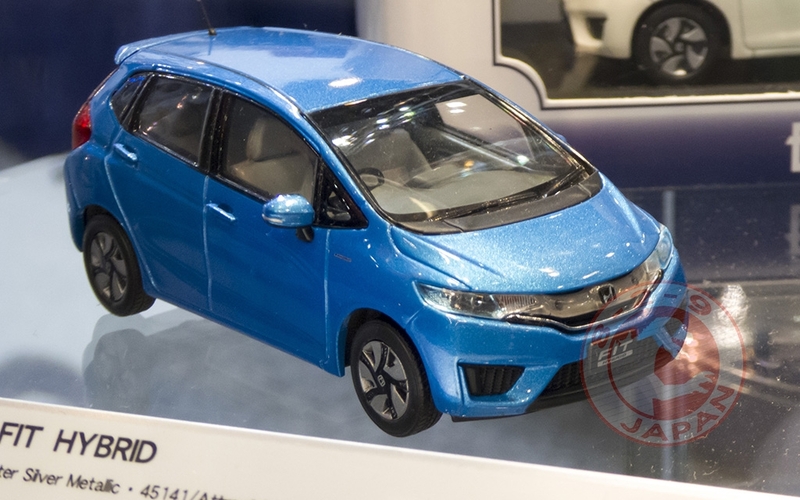 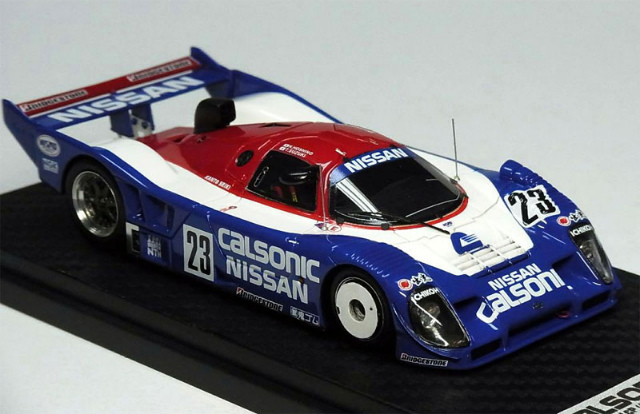 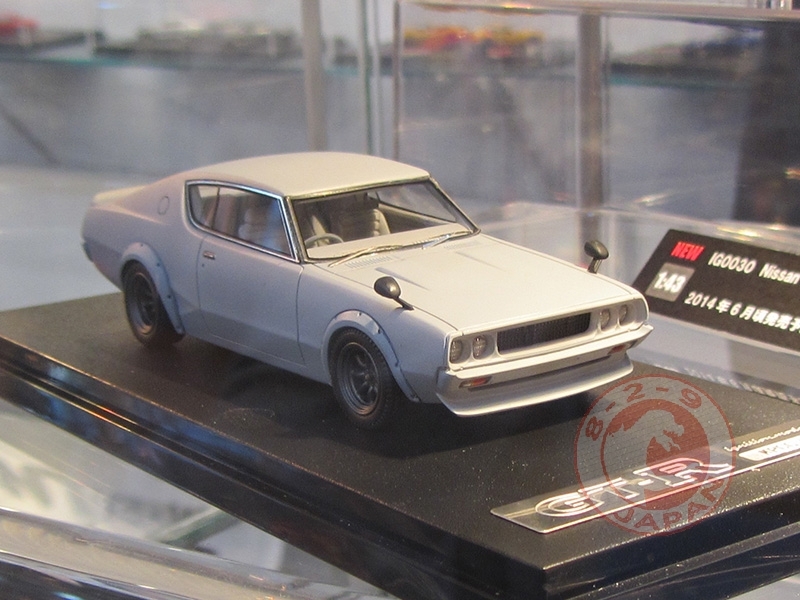 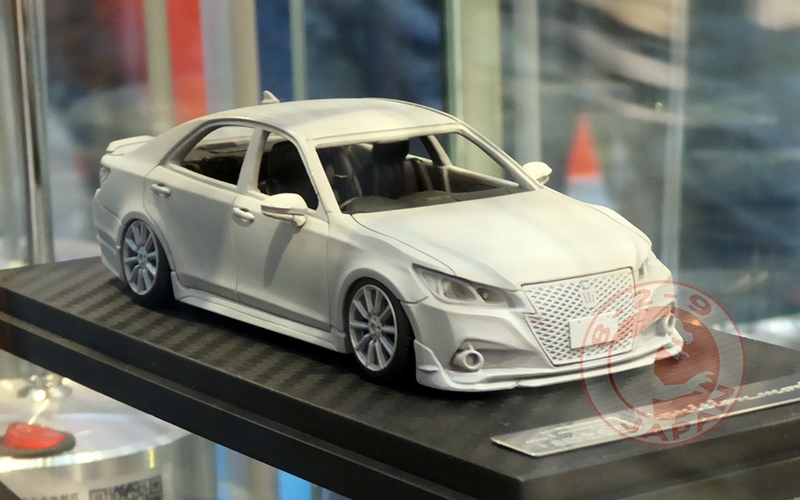 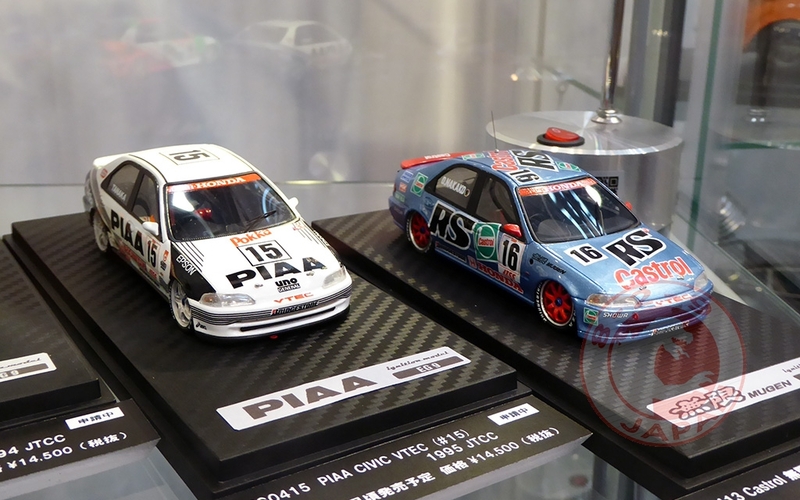 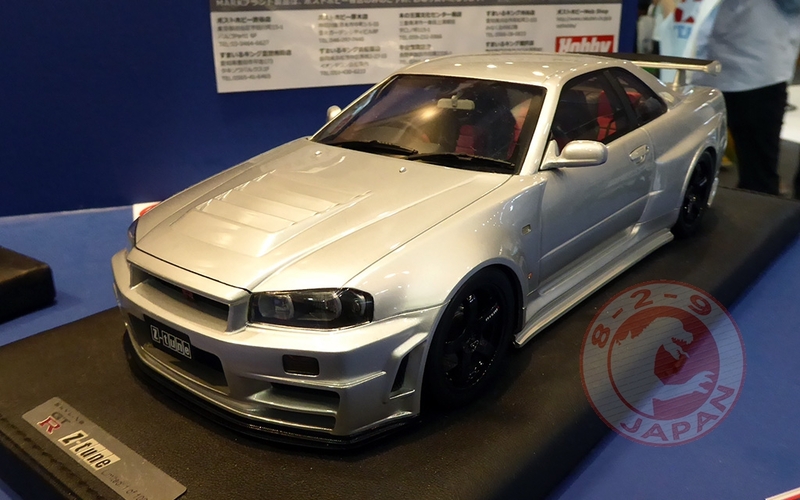 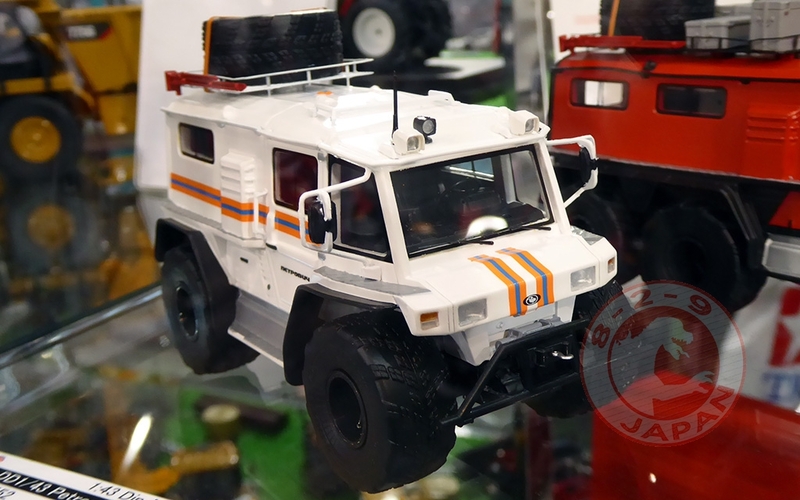 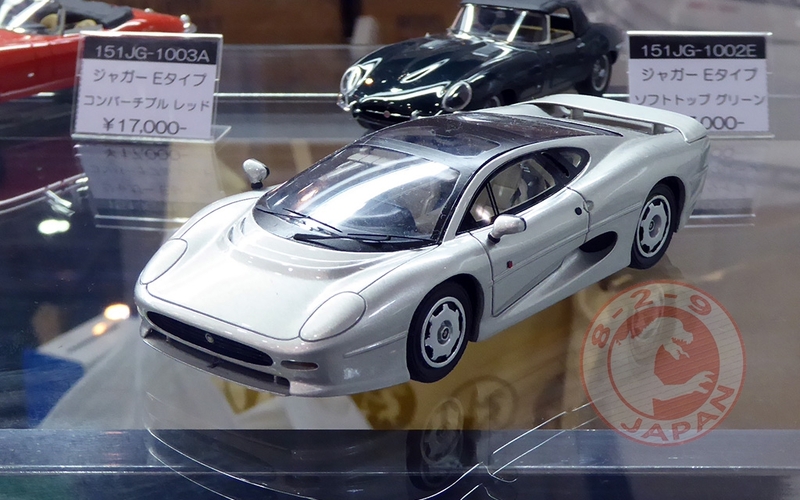 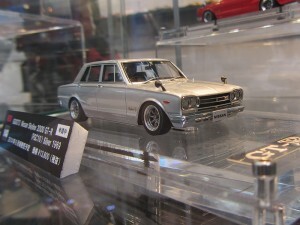 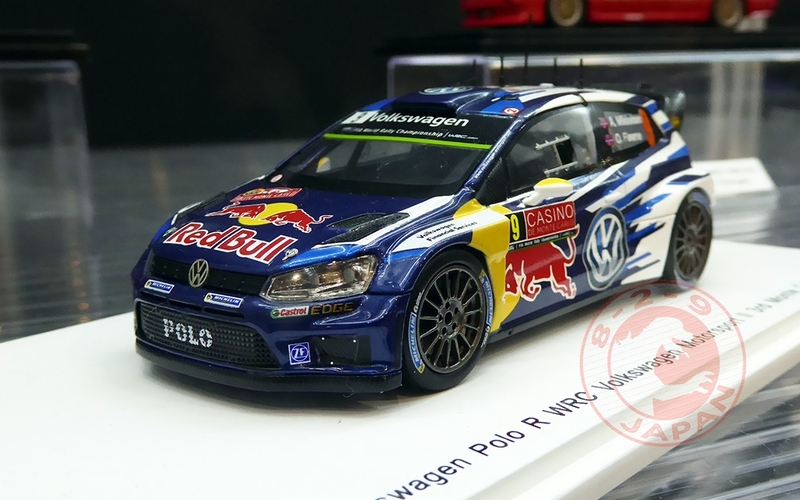 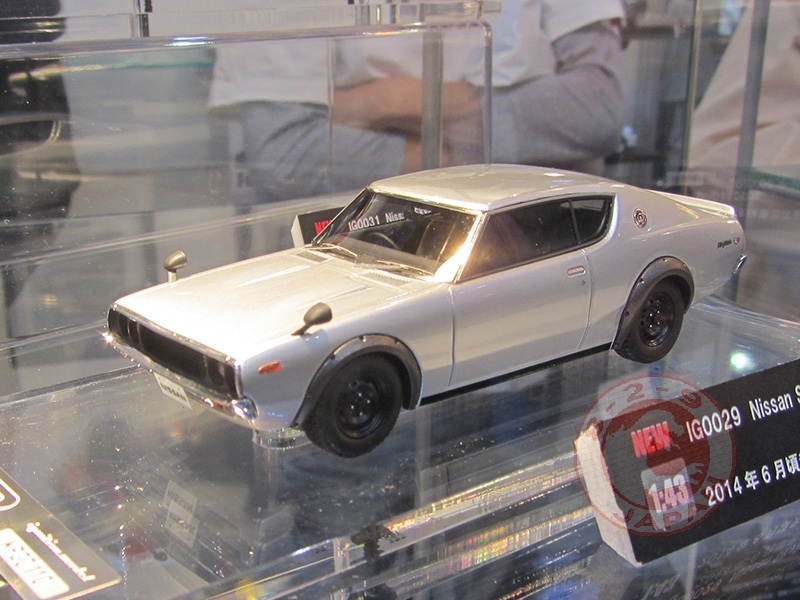 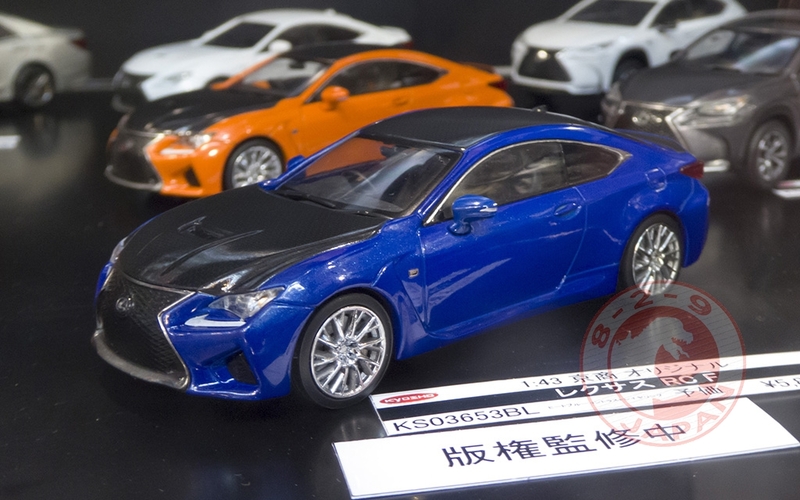 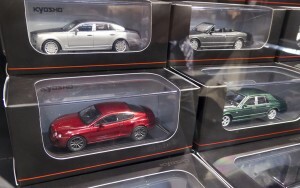 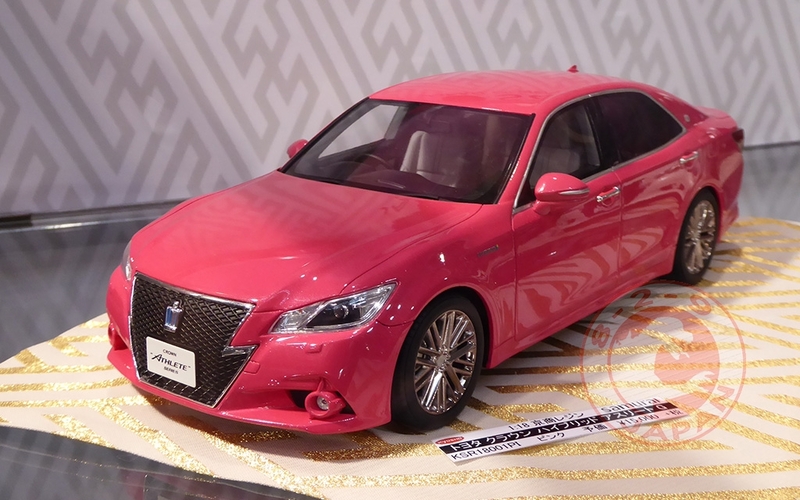 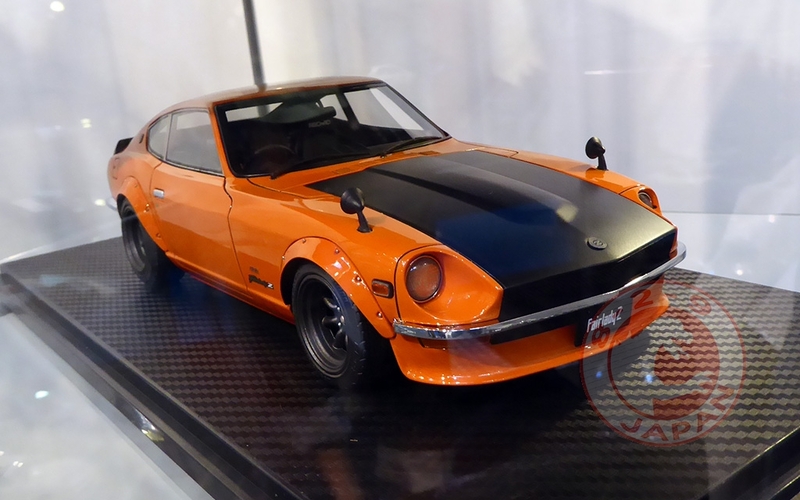 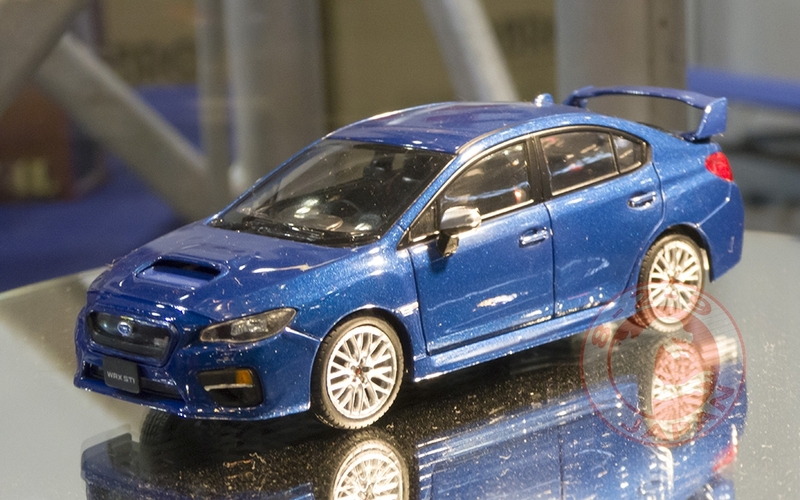 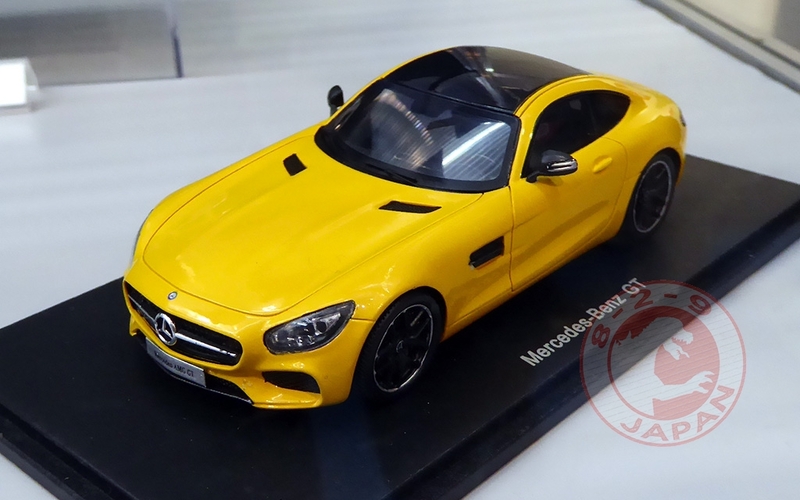 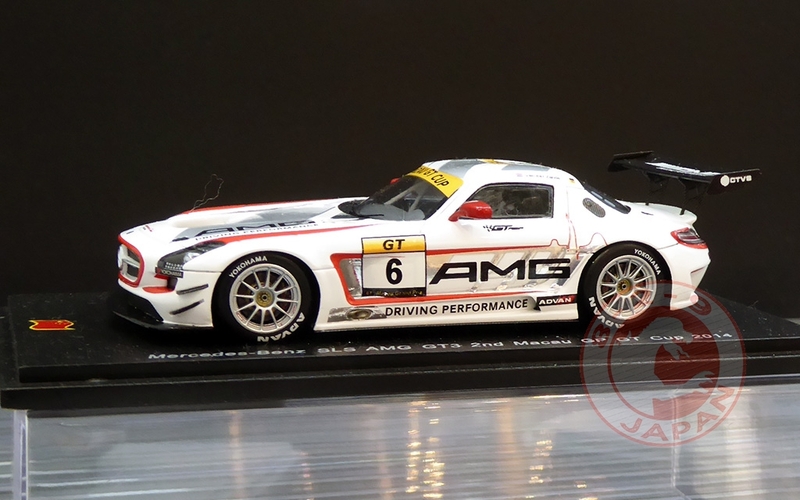 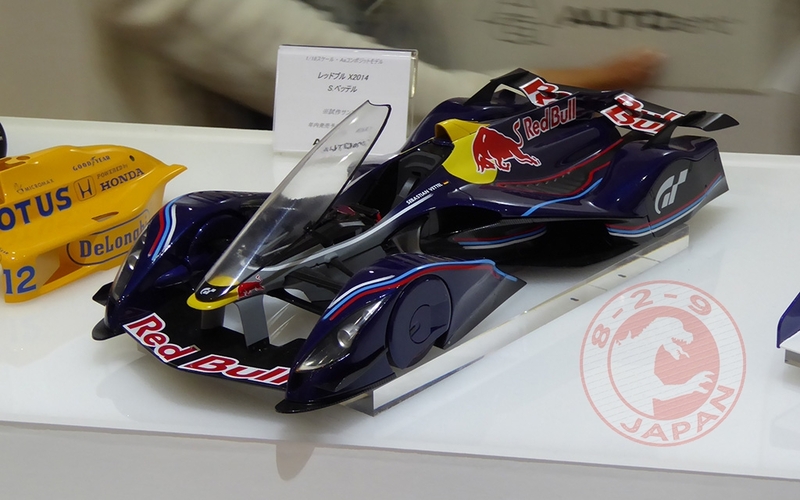 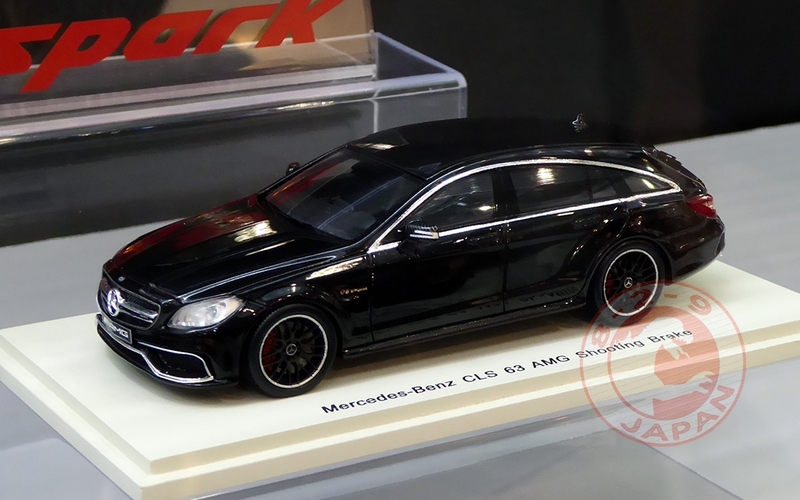 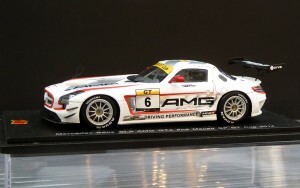 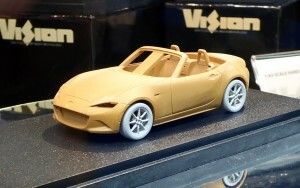 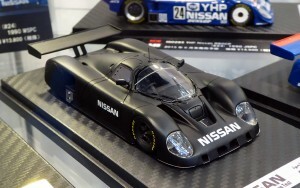 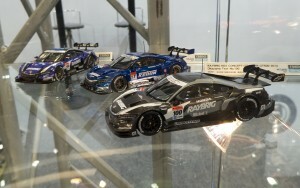 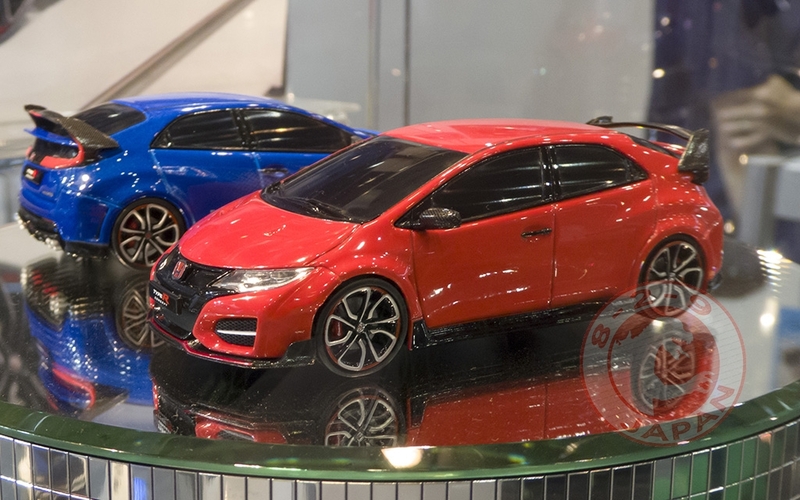 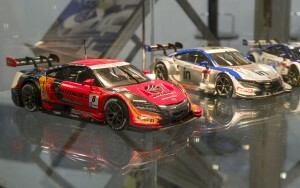 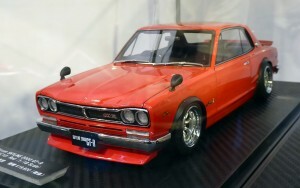 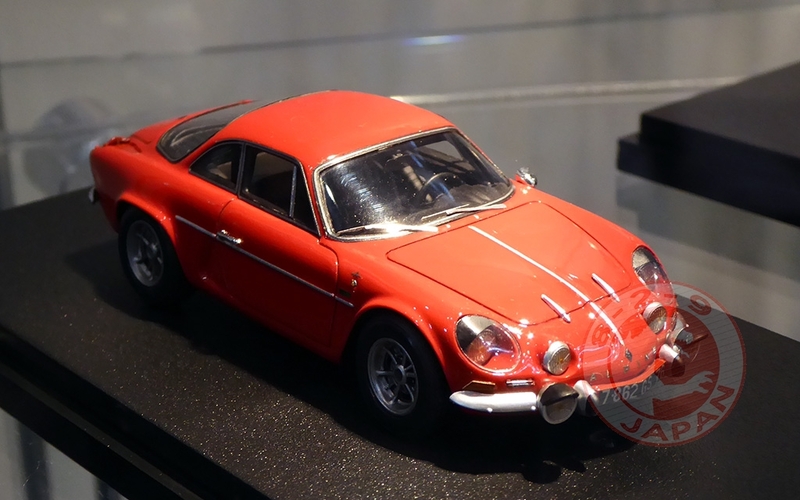 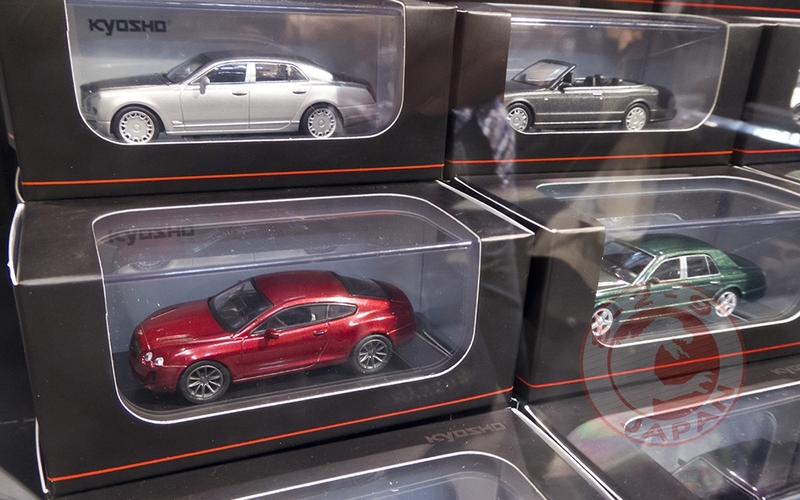 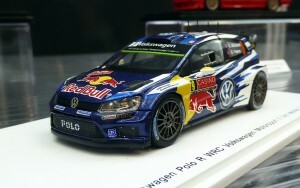 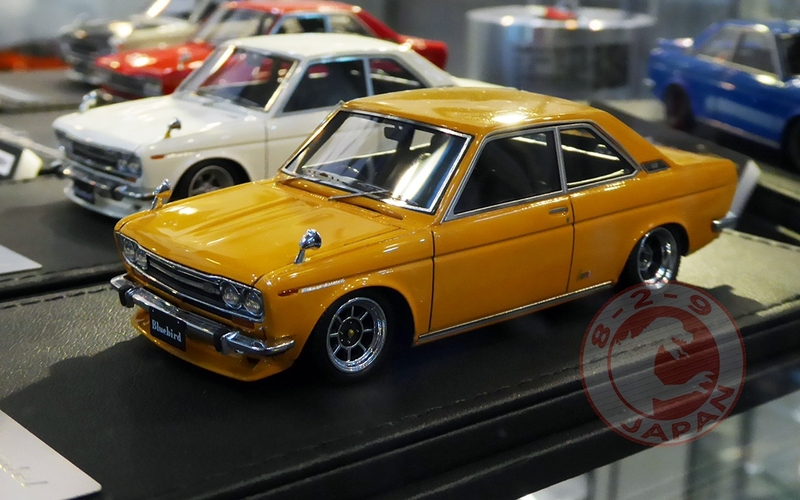 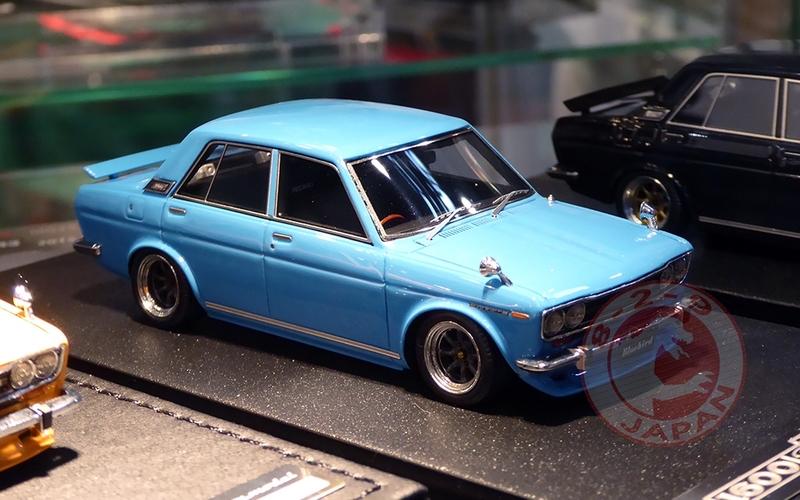 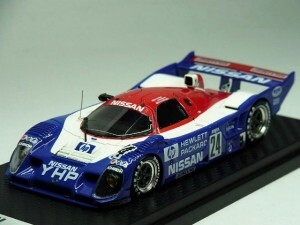 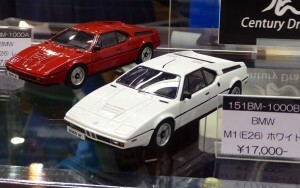 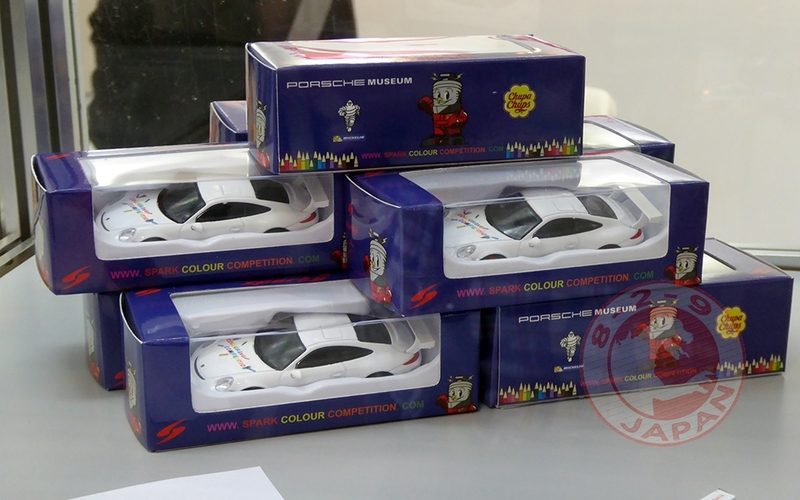 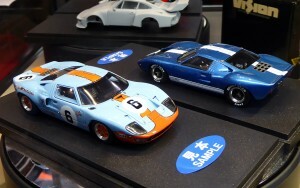 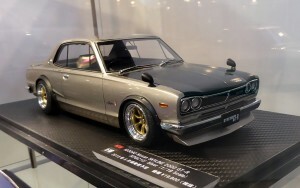 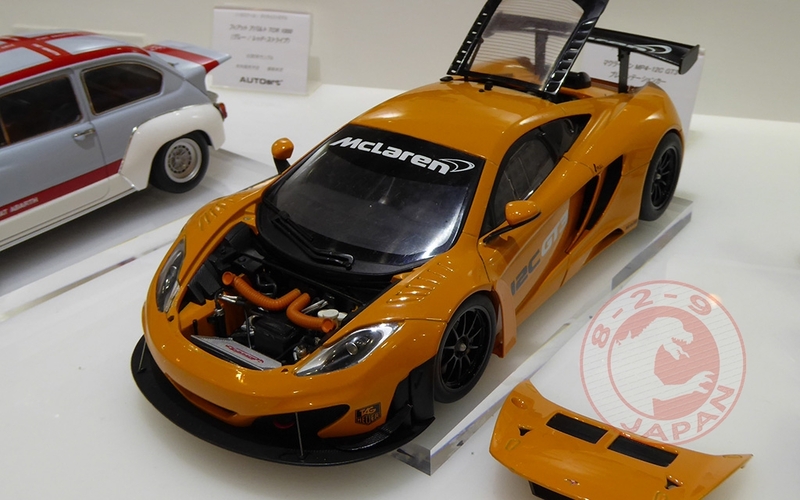 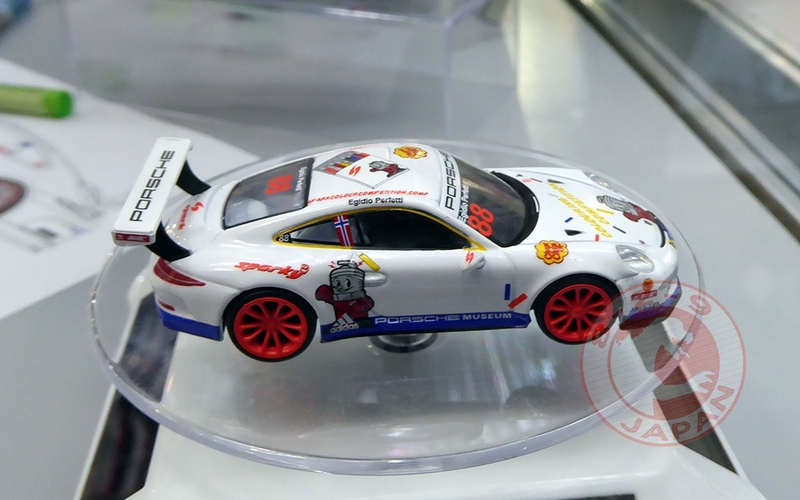 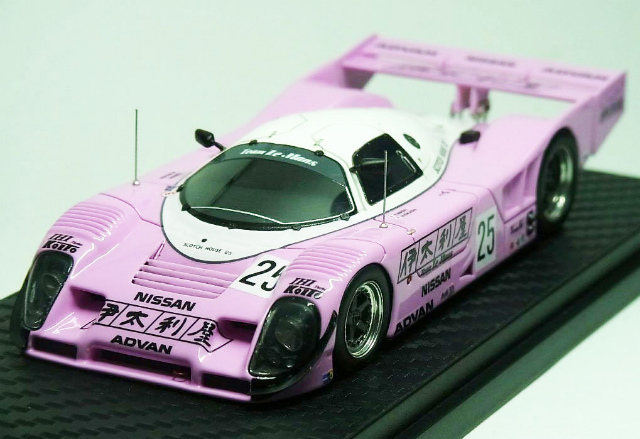 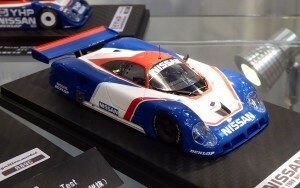 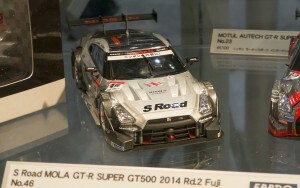 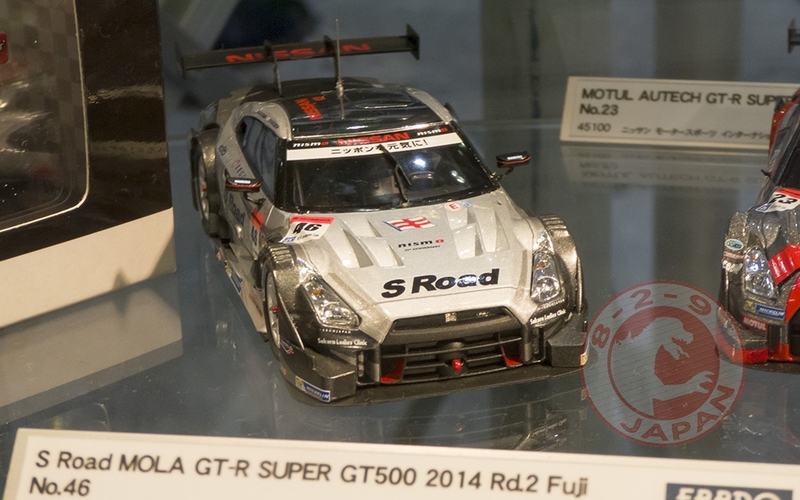 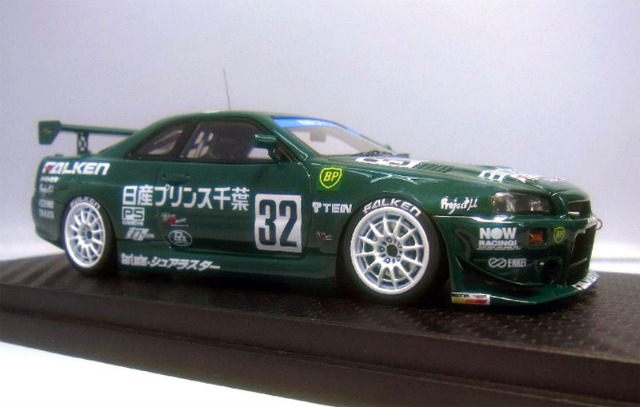 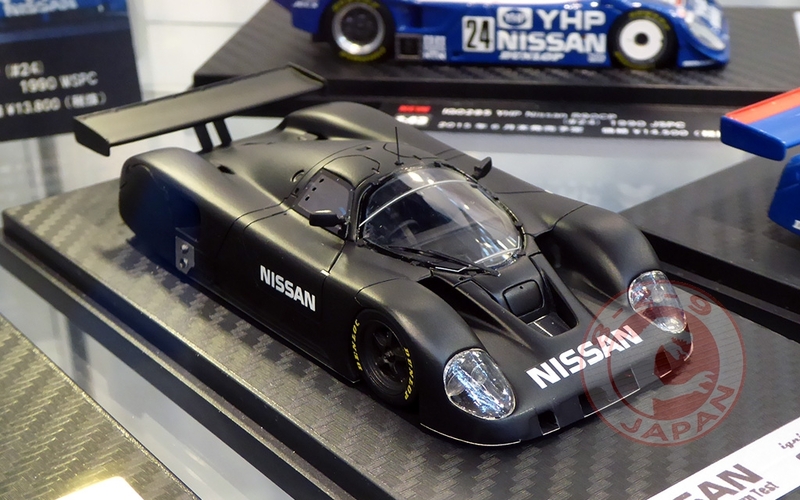 The diecast section showcased the Japanese brand models as well as different brands distributed by Kyosho in Japan. 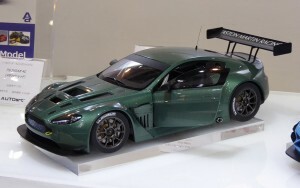 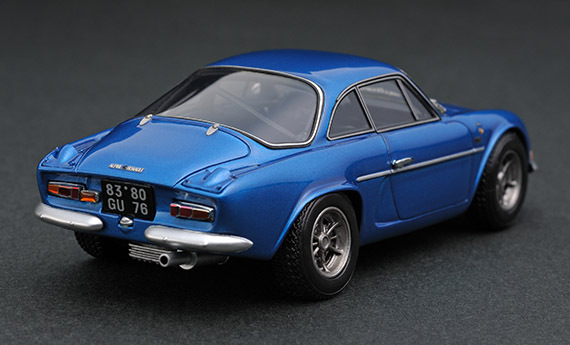 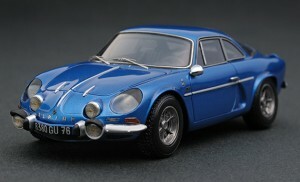 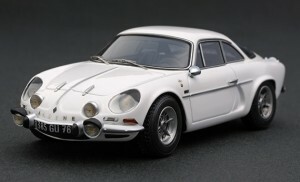 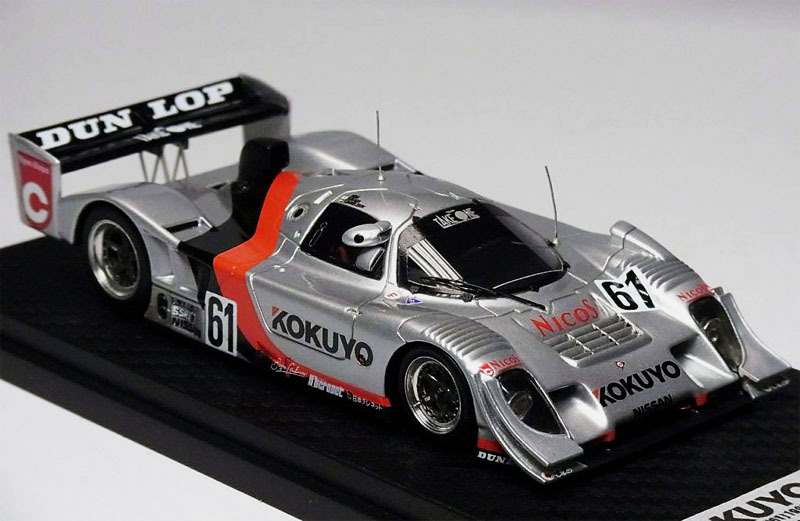 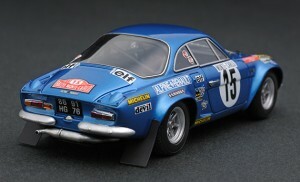 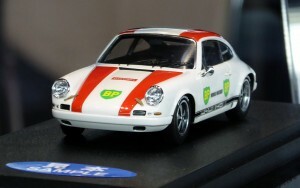 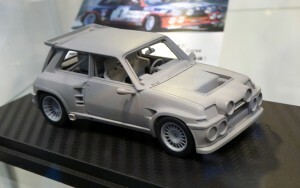 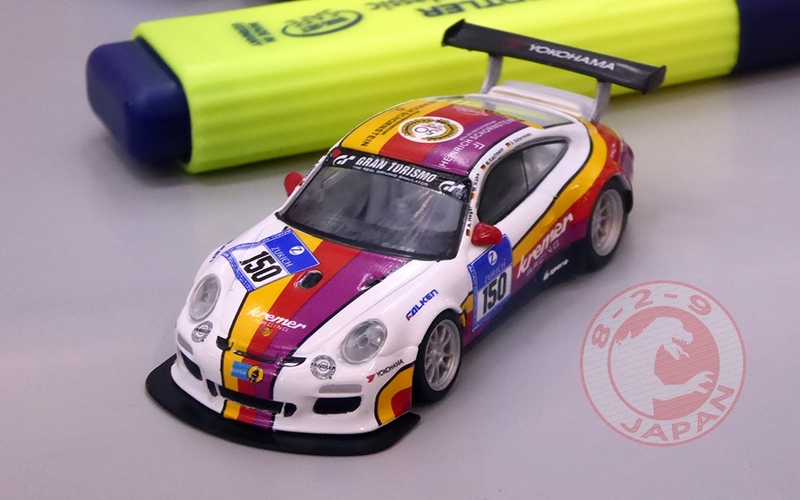 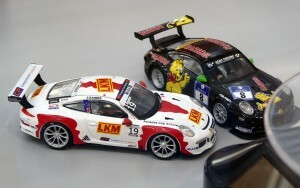 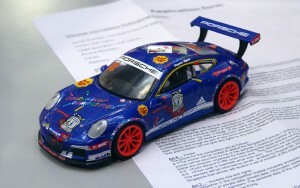 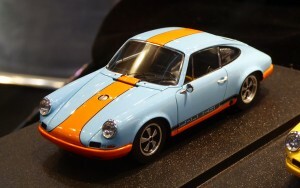 Bentley and Porsche models from the latest SunKus collections will be joining the Kyosho Original line with new colors. 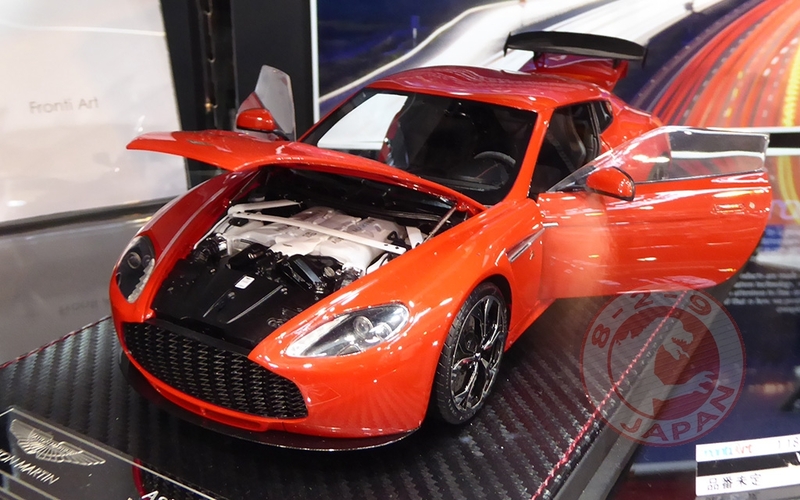 Assembled Ferrari cars were on display at the same place, althought it is unknown if Kyosho plans to do a re-release or just showed the lineup currently available. 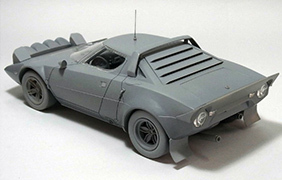 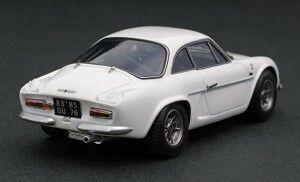 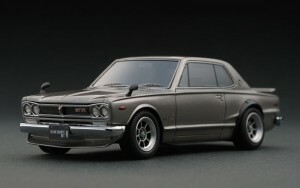 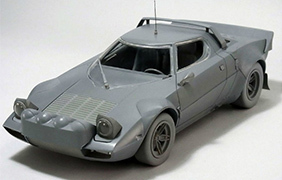 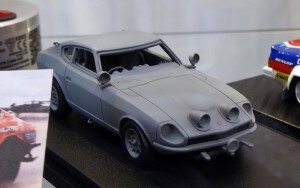 So far it is still unclear if Kyosho is allowed to produce Ferrari cars or not under the exclusive licensing by Bburago. 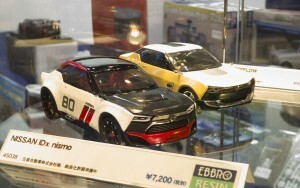 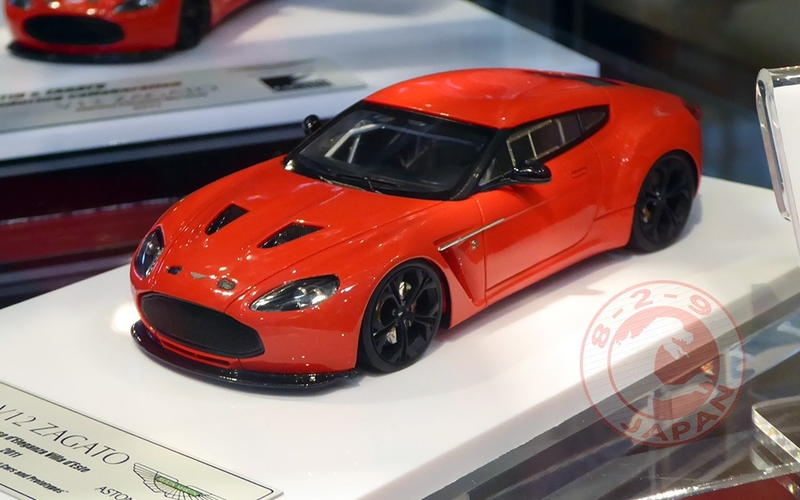 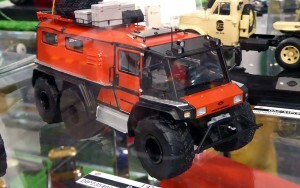 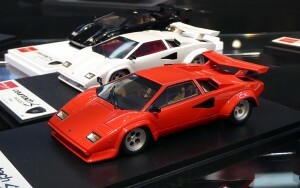 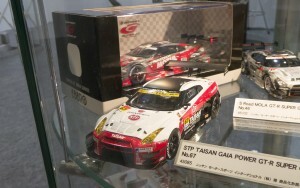 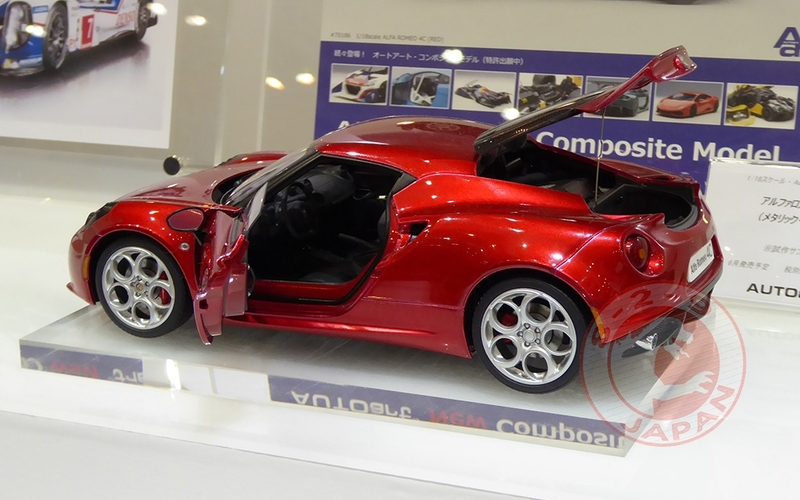 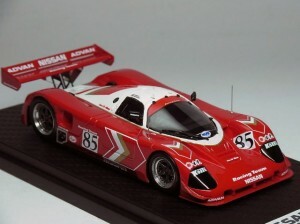 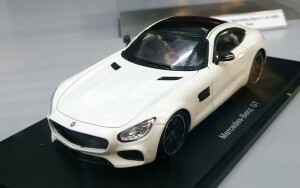 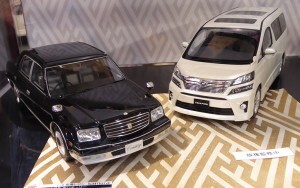 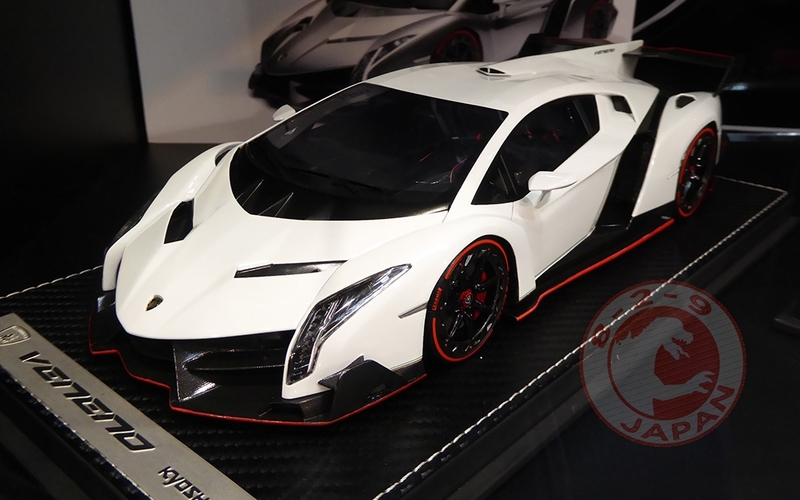 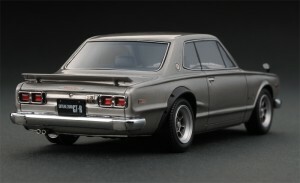 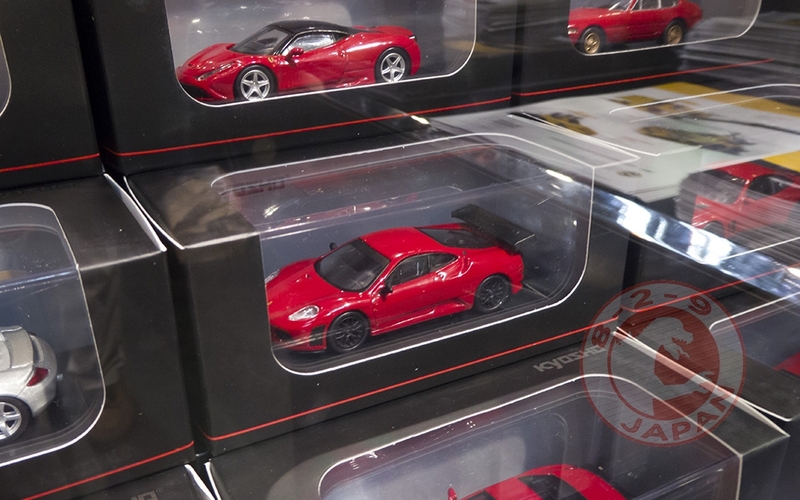 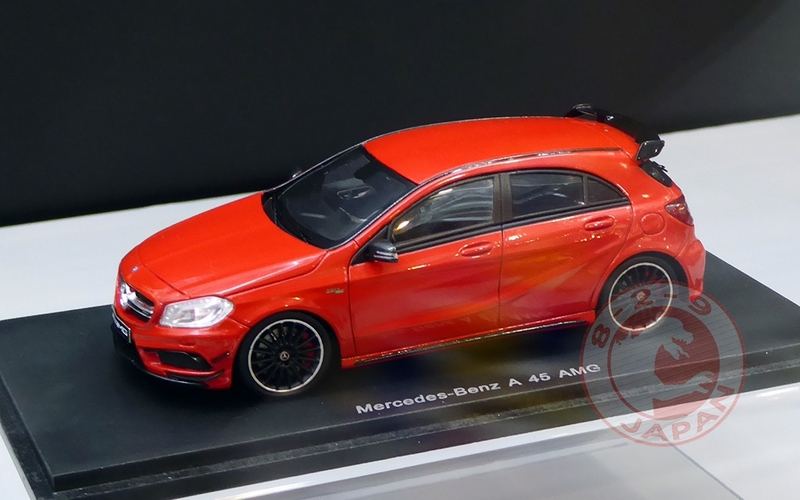 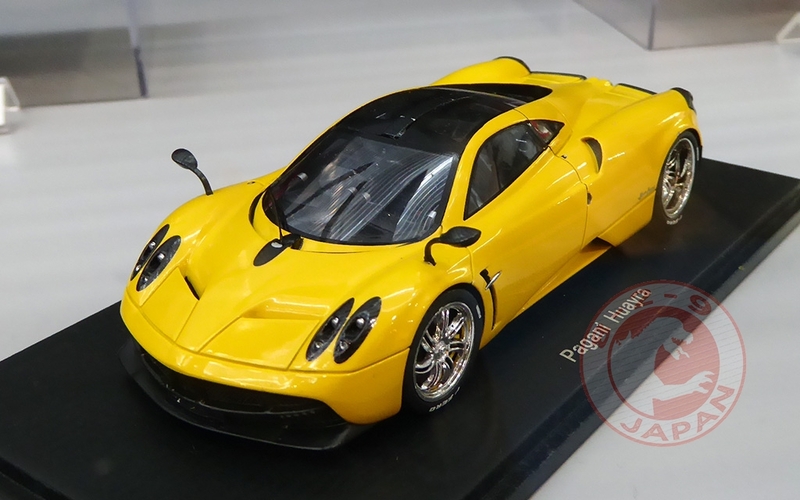 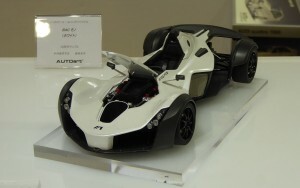 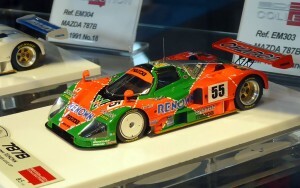 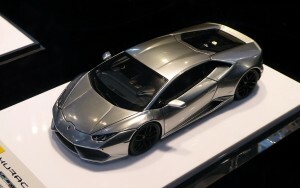 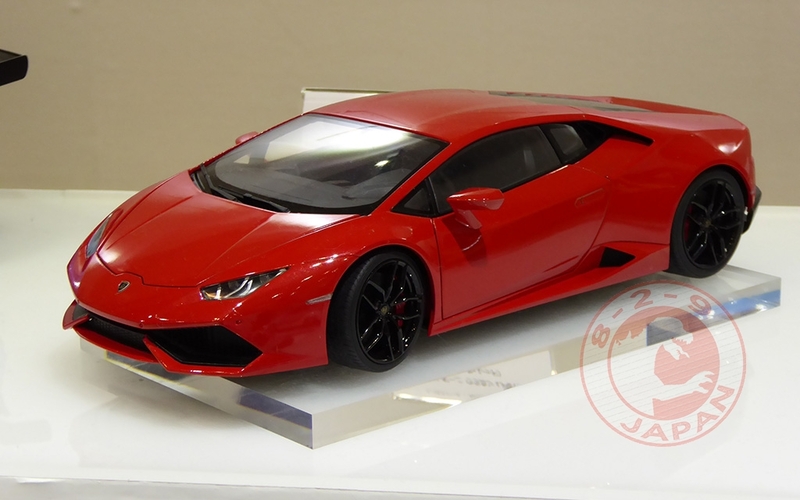 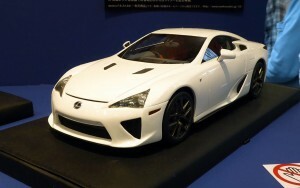 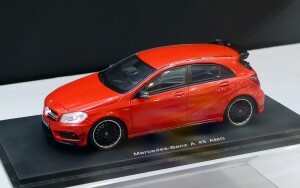 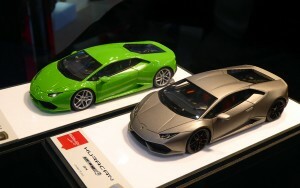 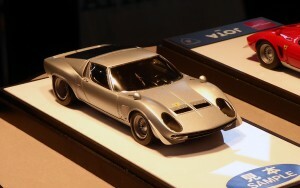 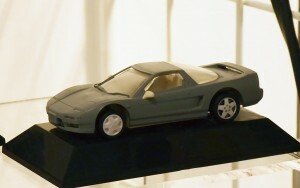 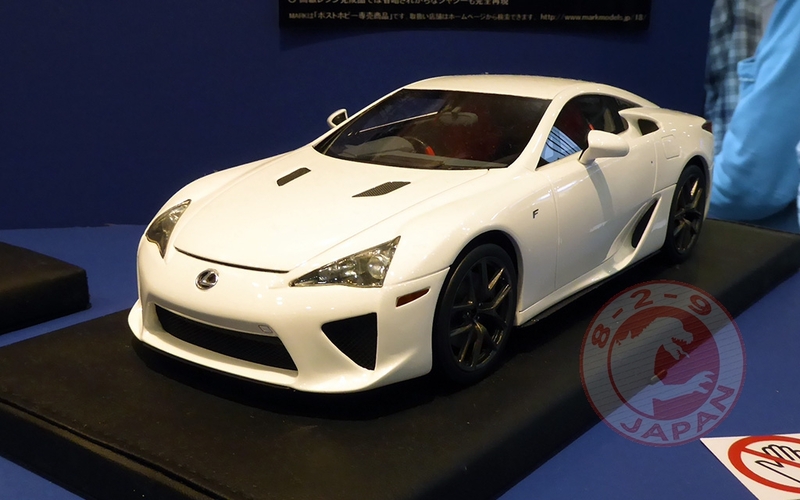 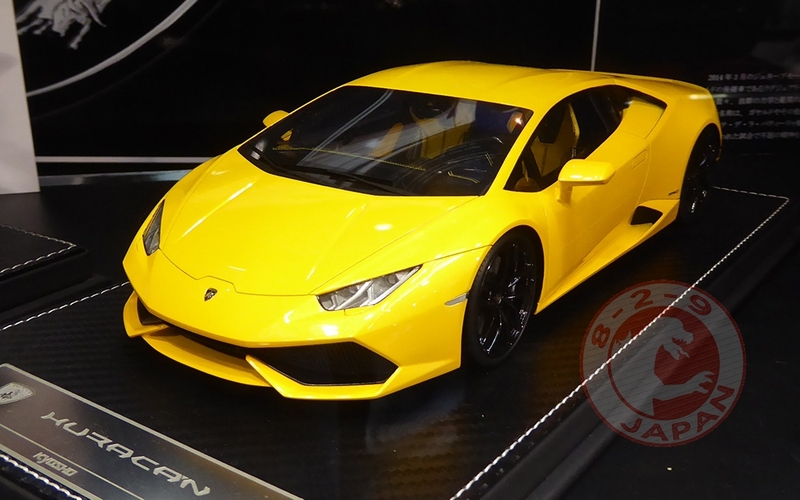 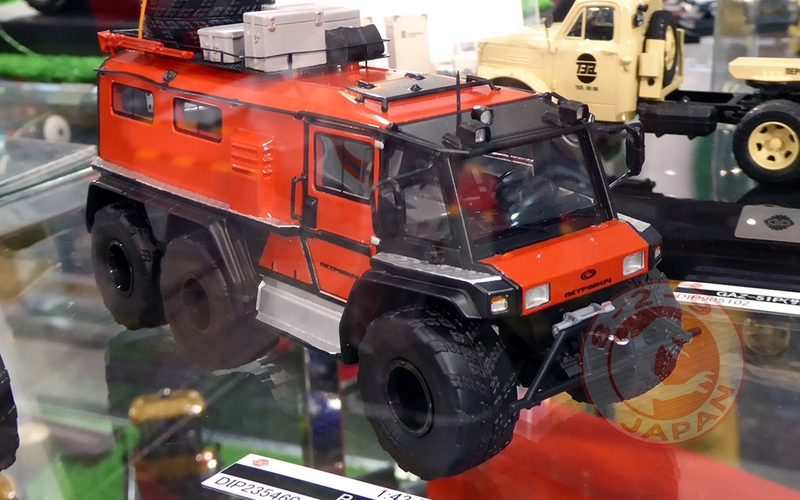 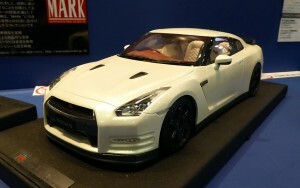 However, Kyosho was also displaying Bburago Ferrari models and will still be in charge or Bburago distribution in Japan. 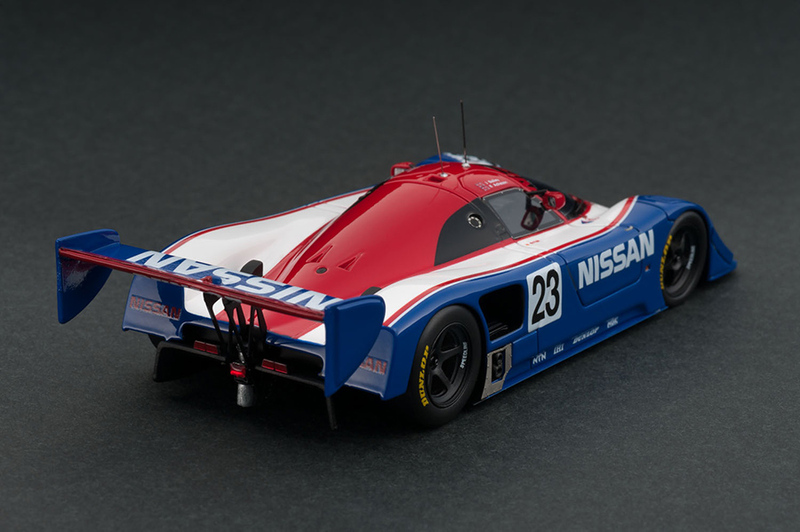 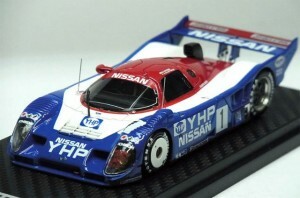 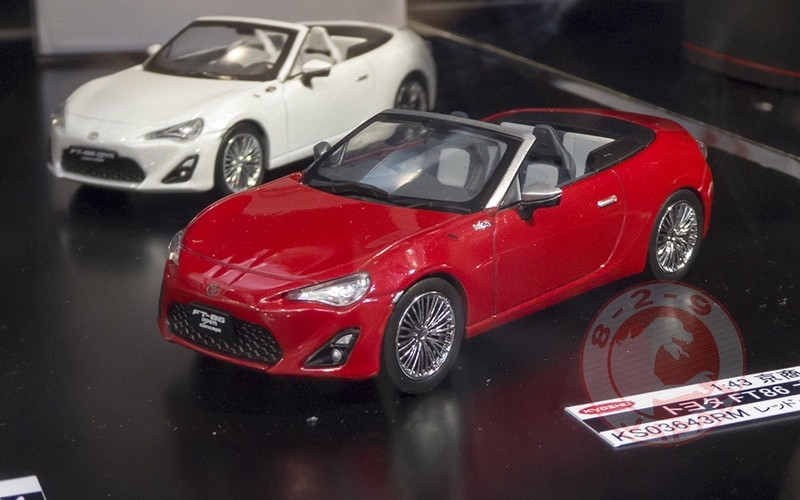 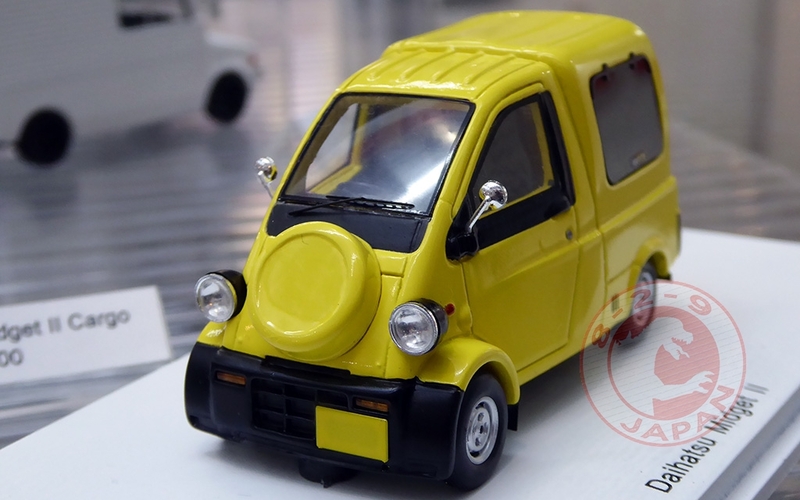 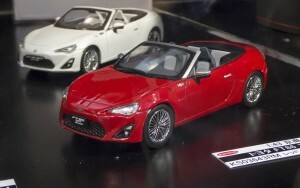 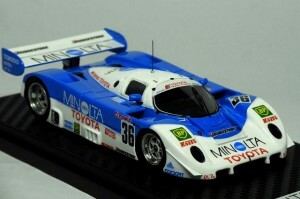 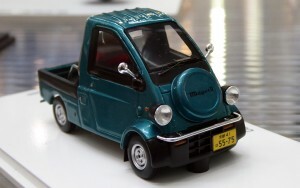 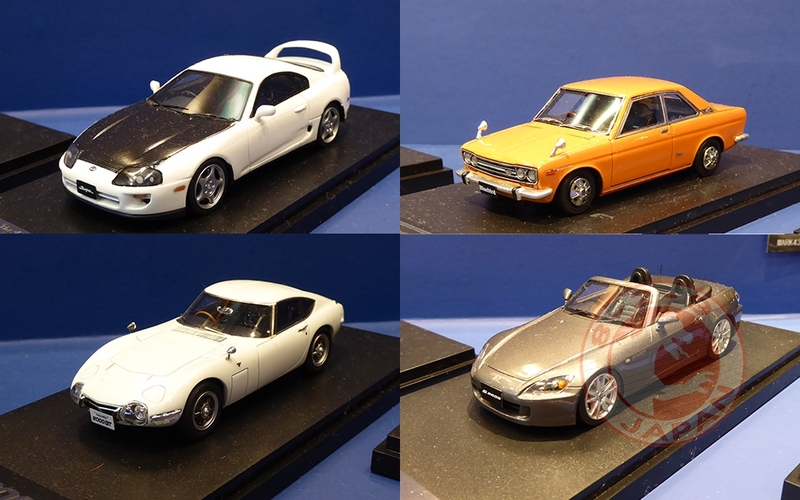 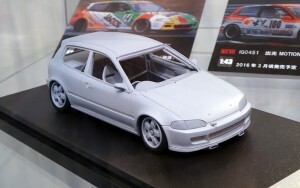 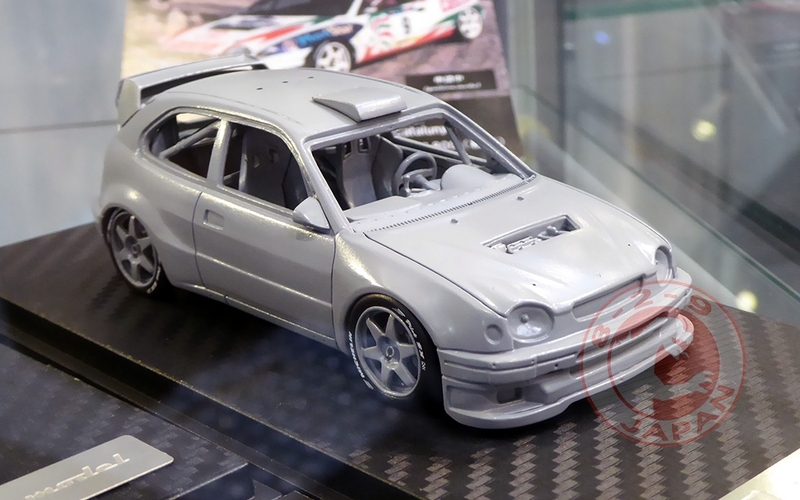 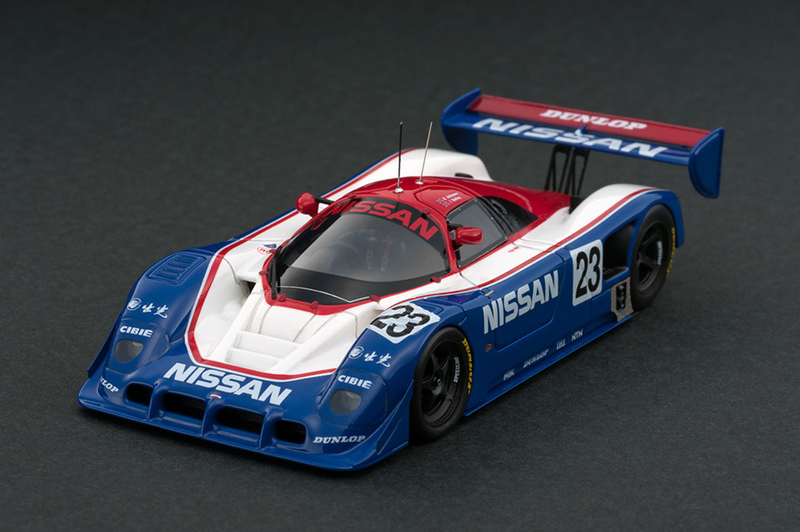 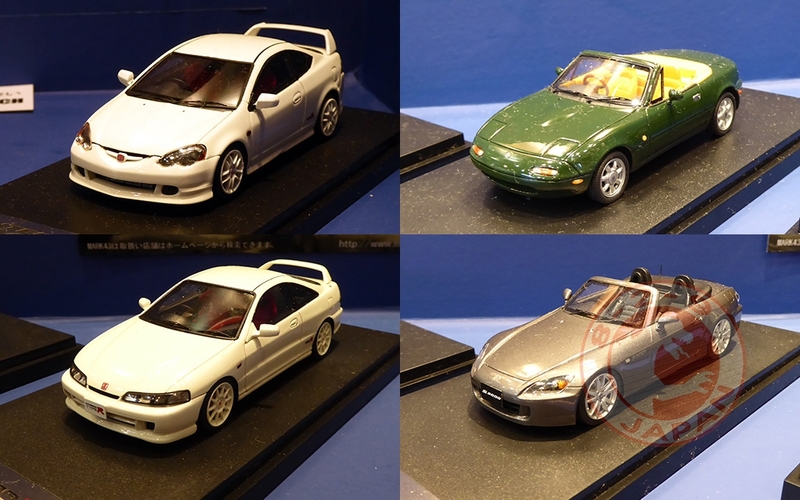 The coming Kyosho Minicar Collection Special Volume 2 was there. 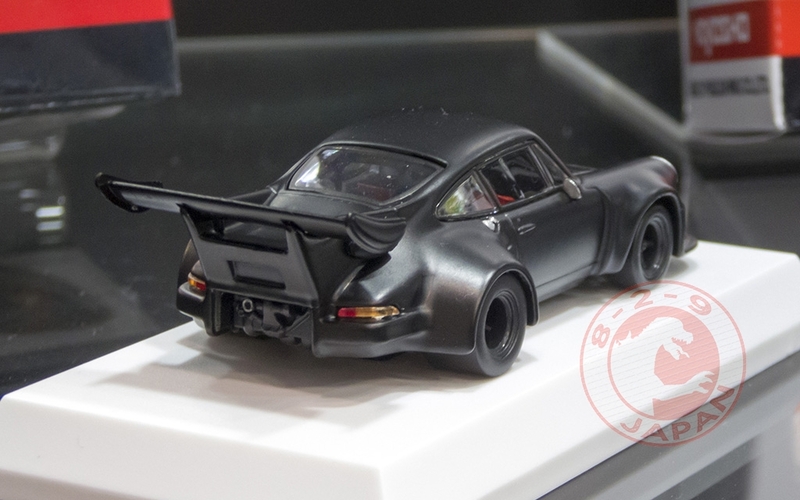 The matte black RSR is looking great ! 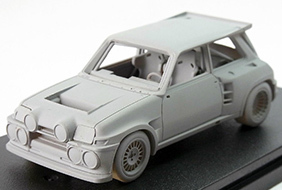 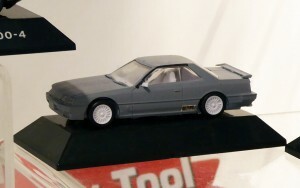 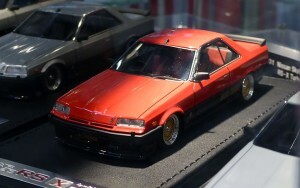 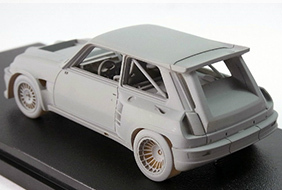 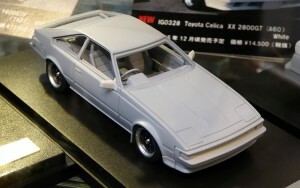 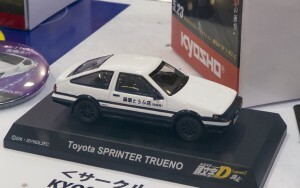 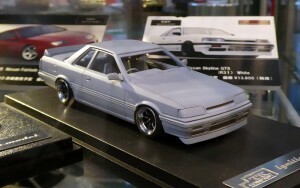 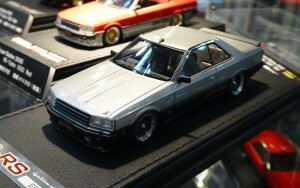 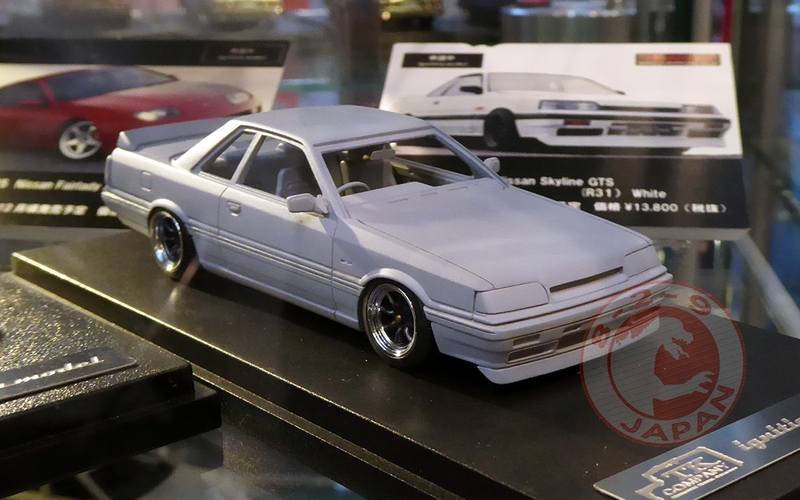 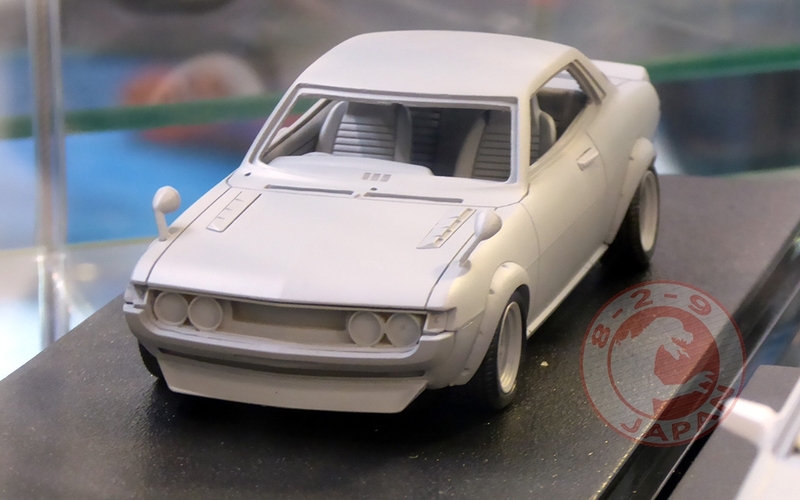 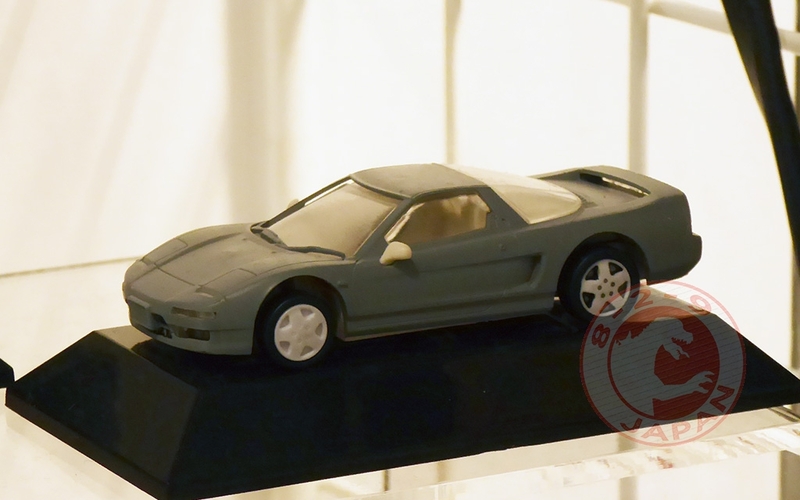 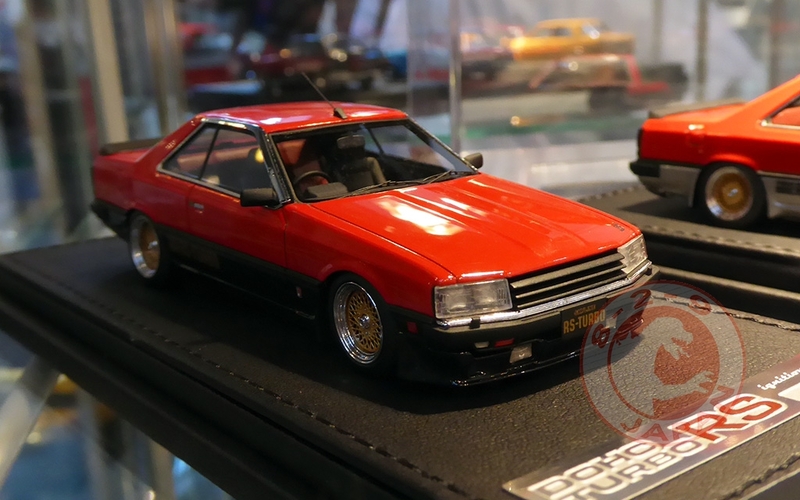 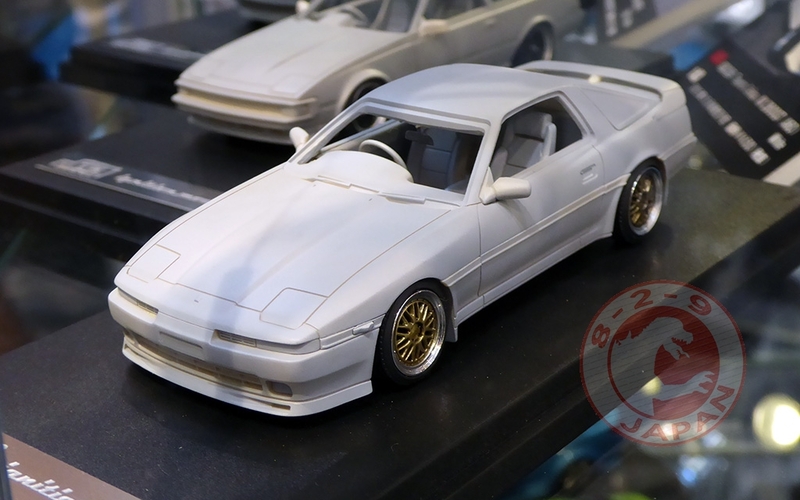 Last model at 1/64 scale, the upcoming Sprinter Trueno AE86 from Initial D. The car comes in a collector box with metal badges. Reservations are now closed ! 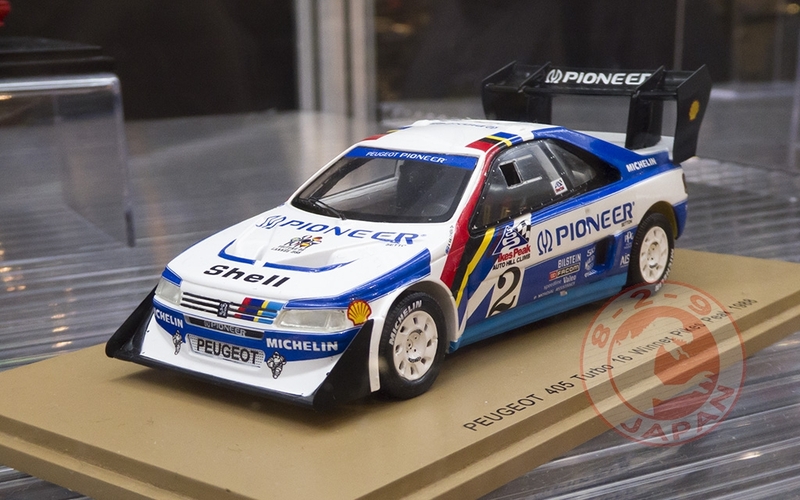 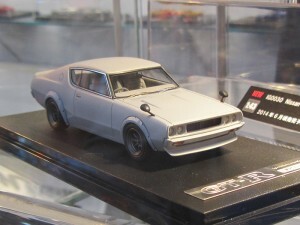 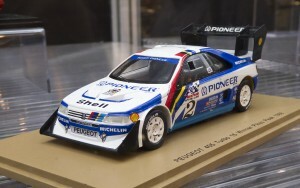 Reservations for the Sprinter Trueno are open at 829 Japan. 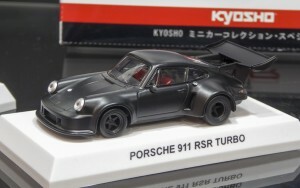 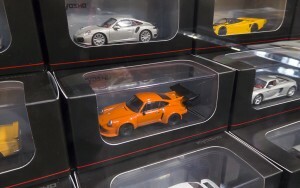 Just like for the Porsche RSR Turbo, send an email to 829japan@gmail.com to be added to the reservation list. First come first serve system. Price is $21 (plus shipping) and should be released early June. 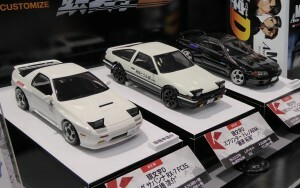 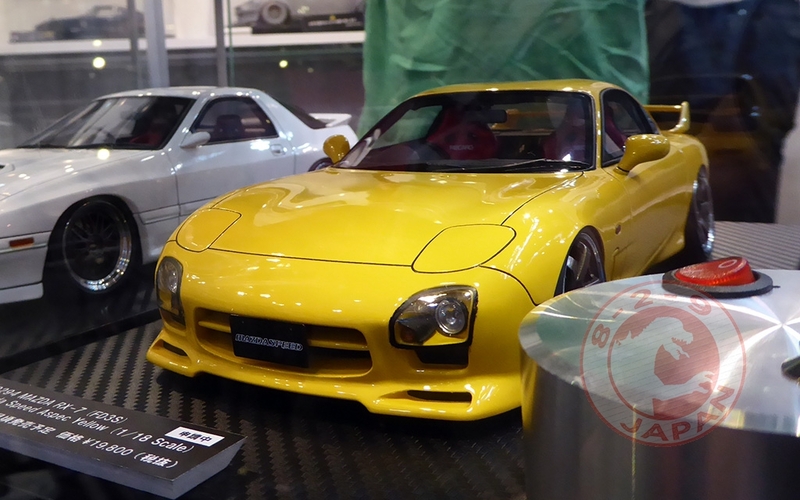 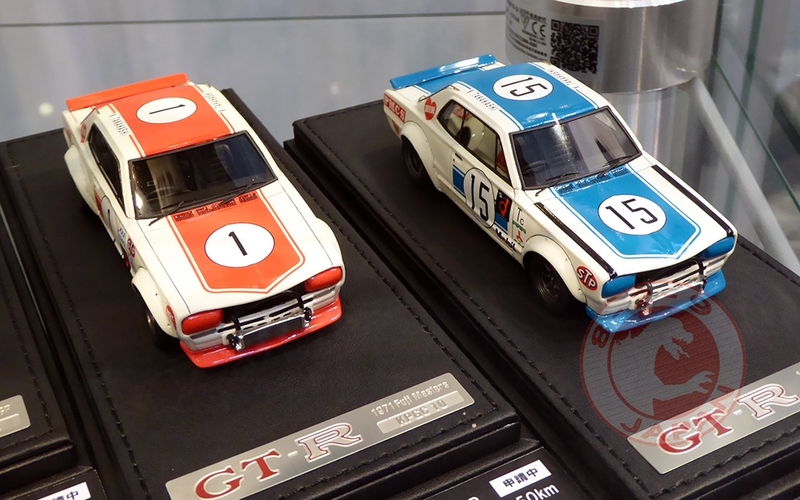 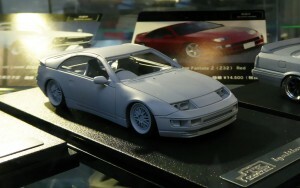 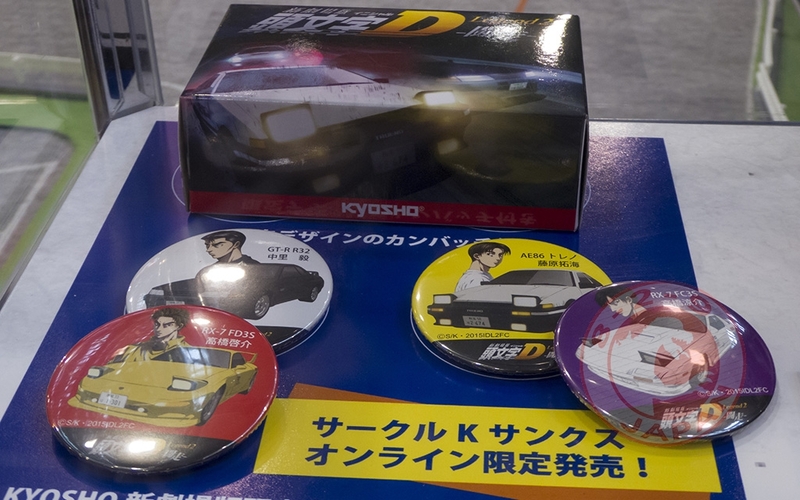 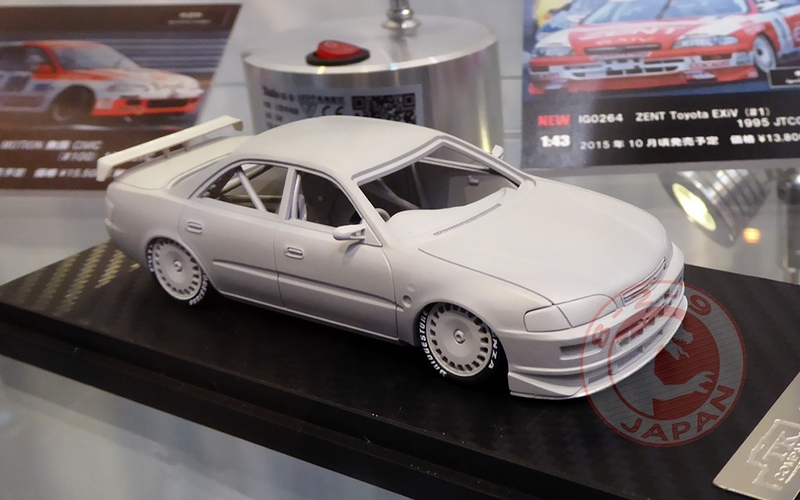 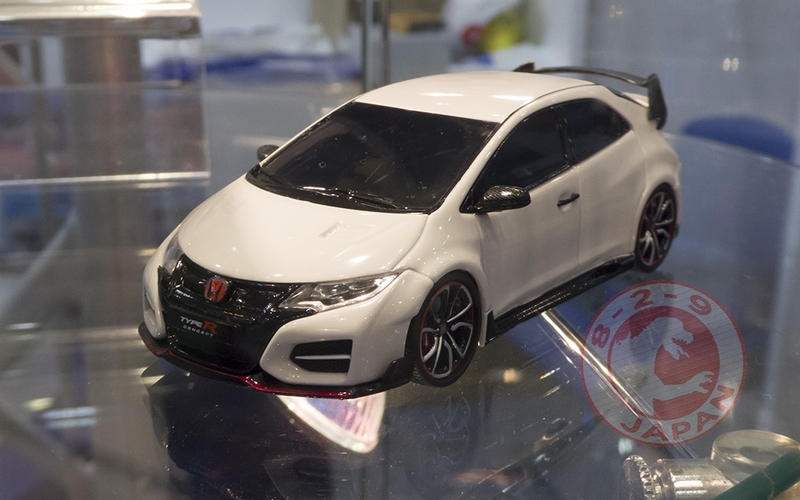 A new line of Initial D Mini-Z cars was on display and in demonstration on a little track. 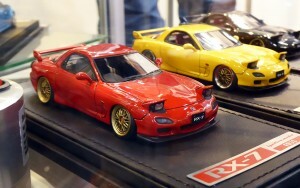 The tiny RC cars can drift just like in the anime ! 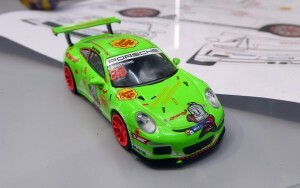 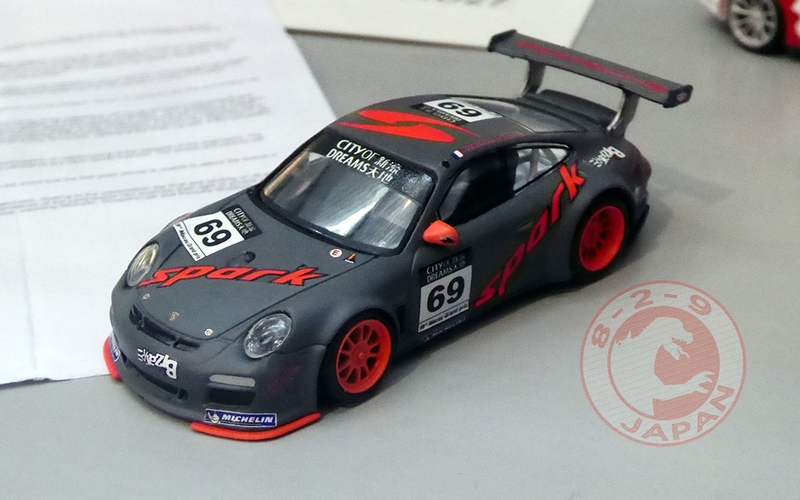 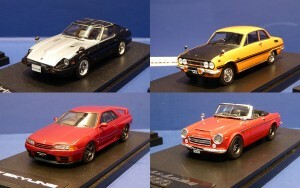 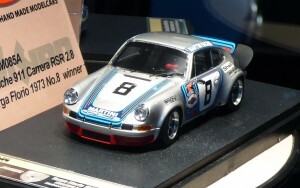 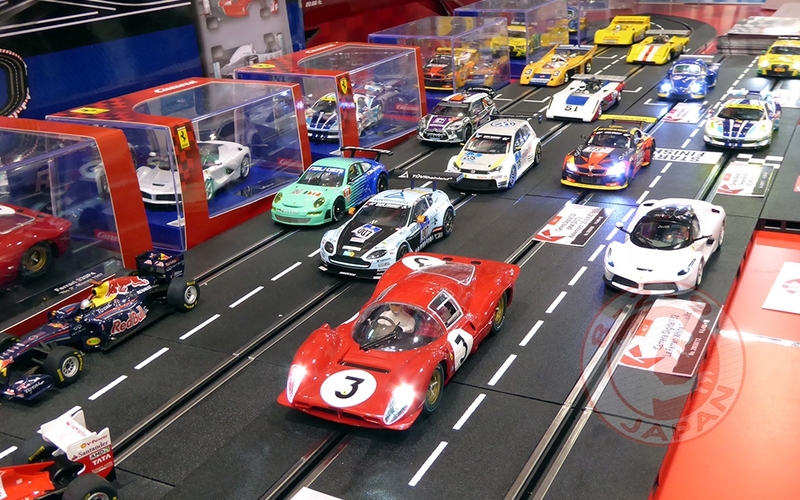 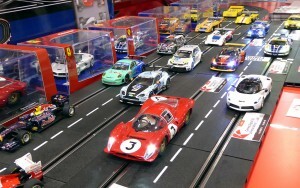 This year the Carrera slot cars had just a little corner to show the latest models. 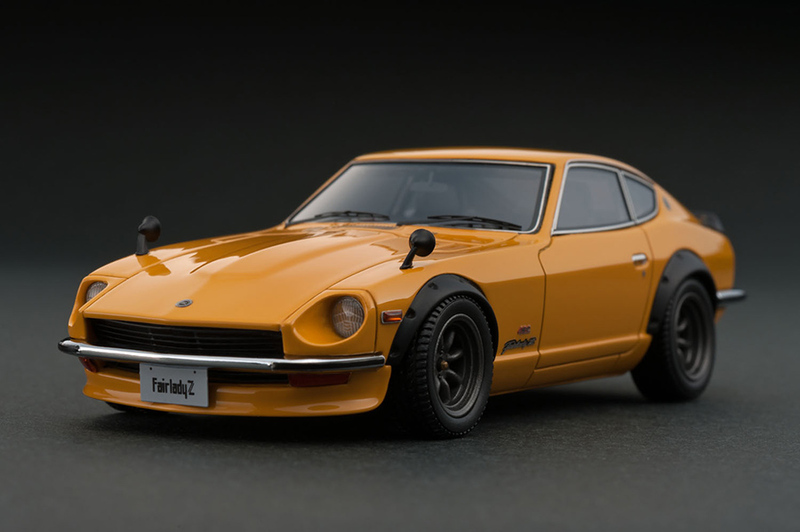 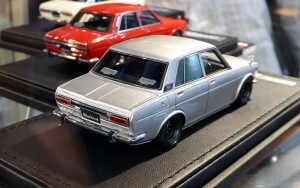 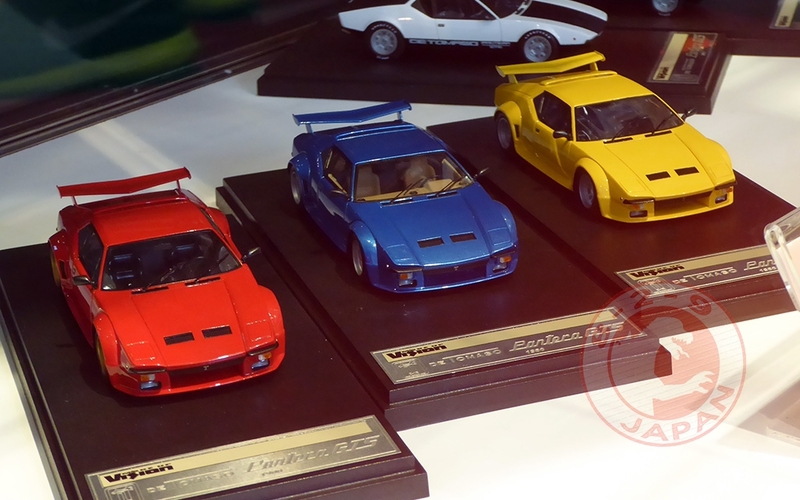 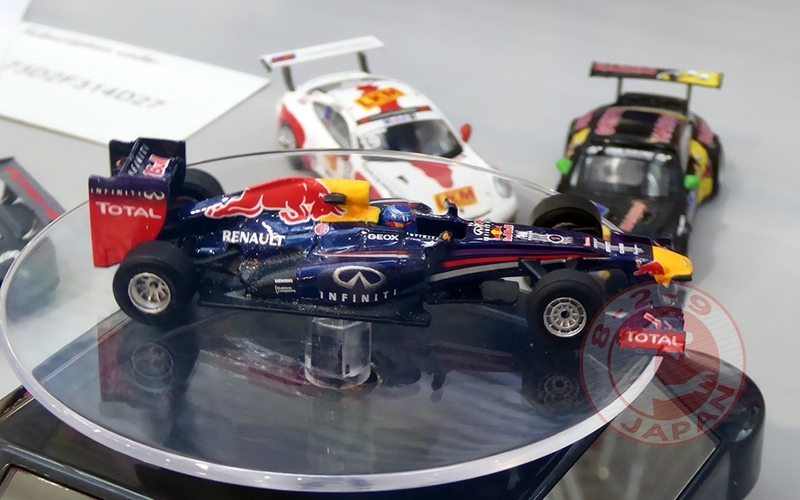 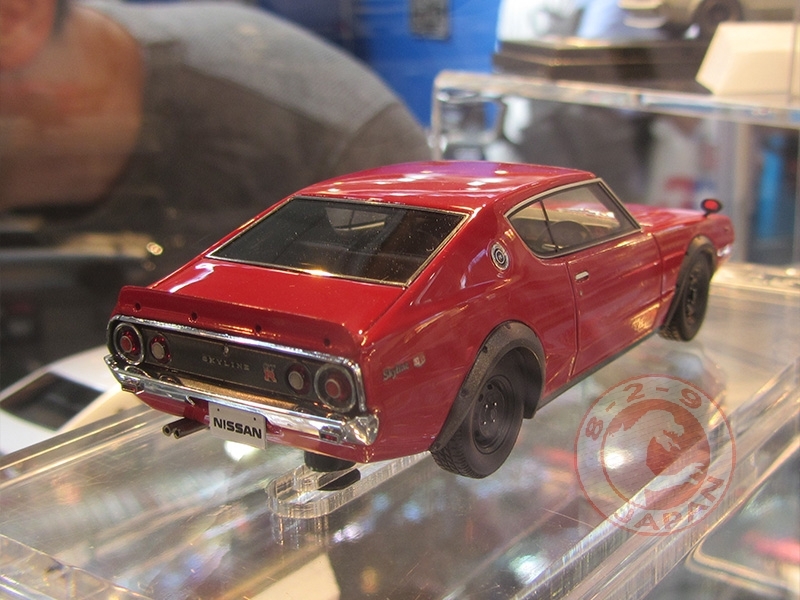 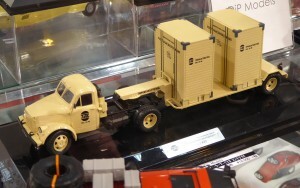 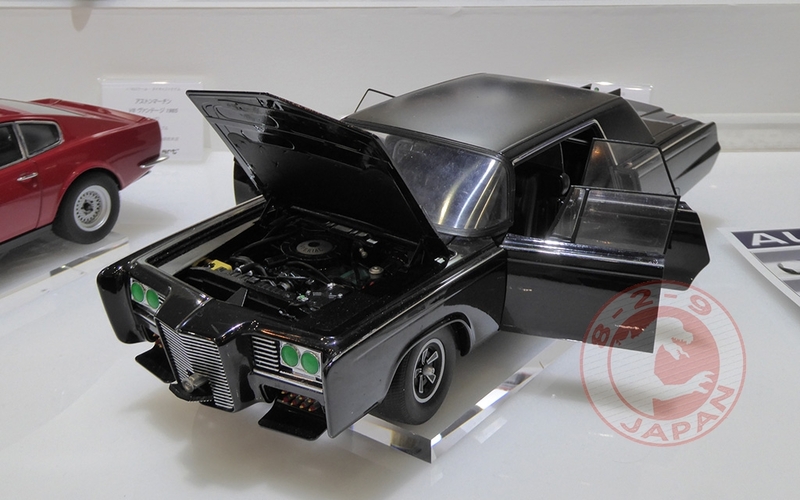 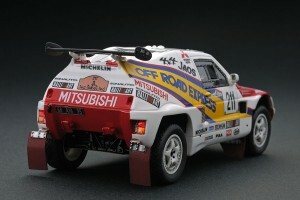 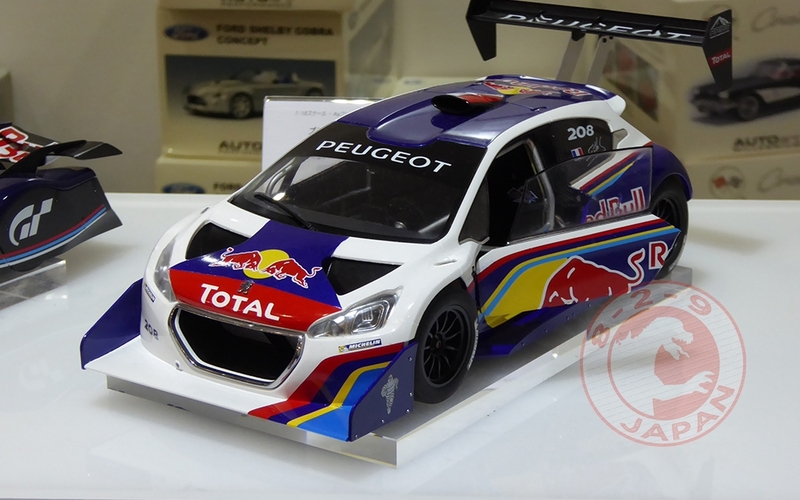 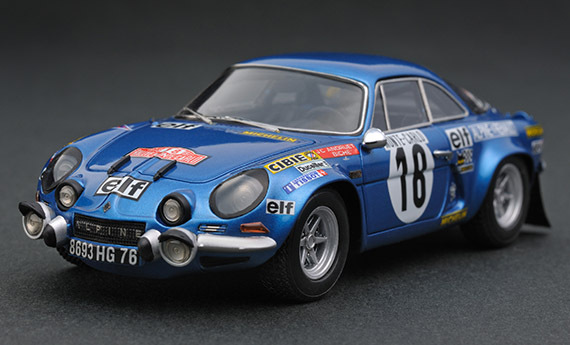 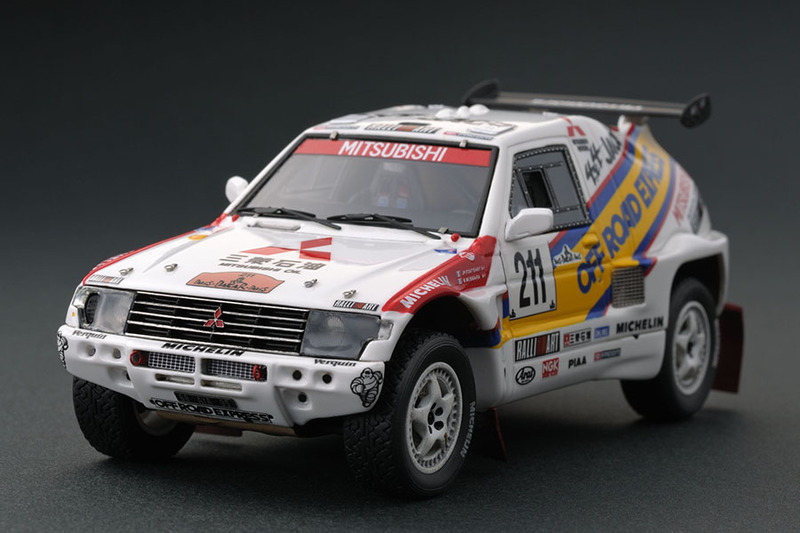 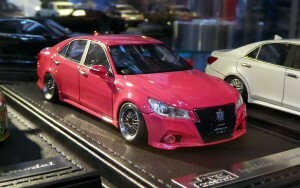 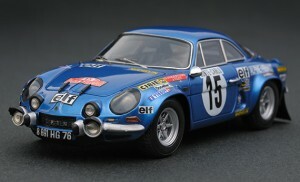 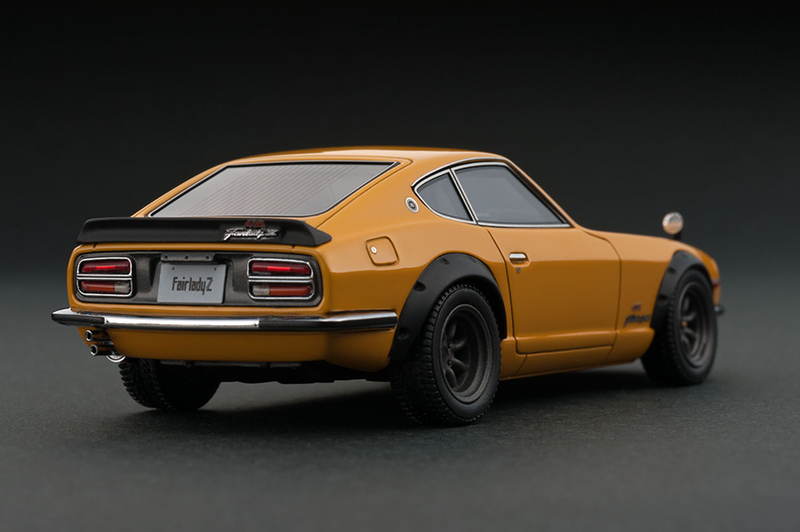 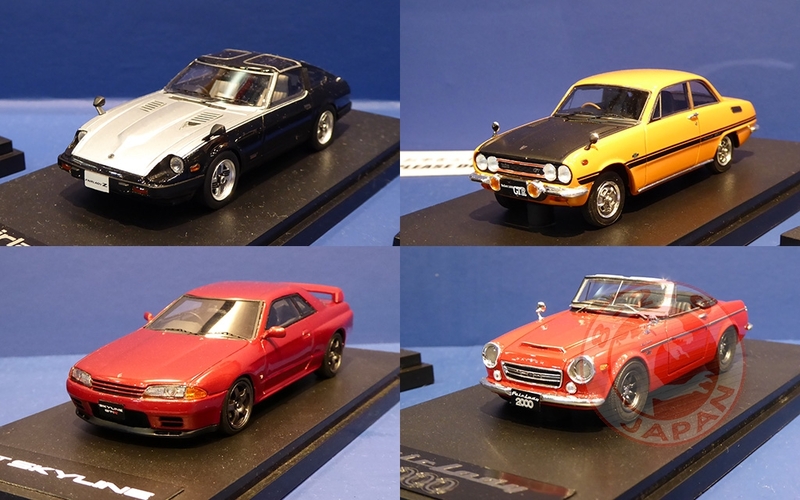 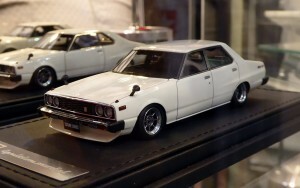 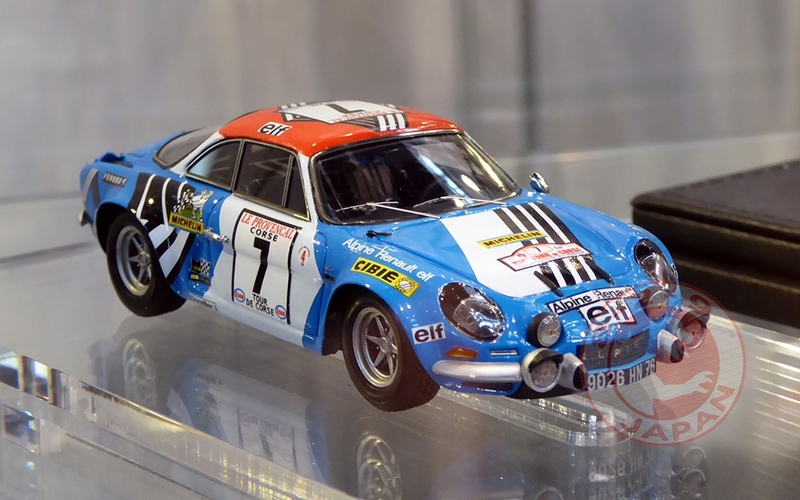 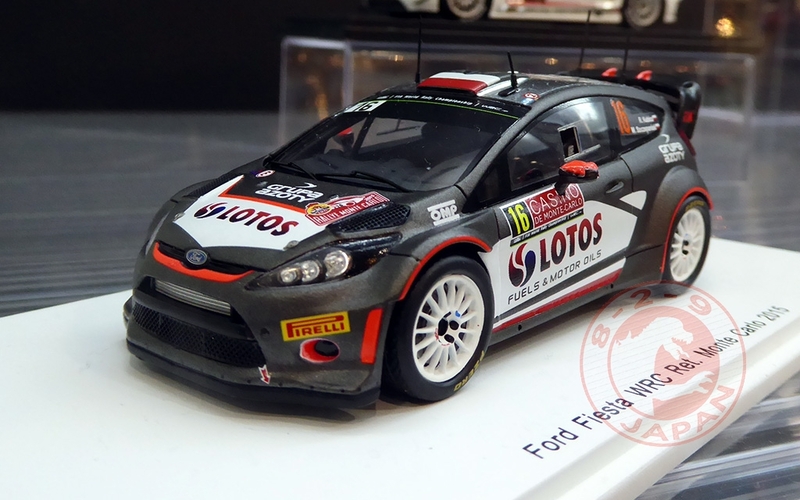 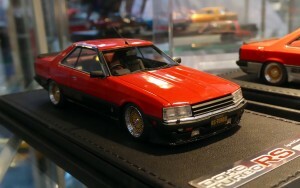 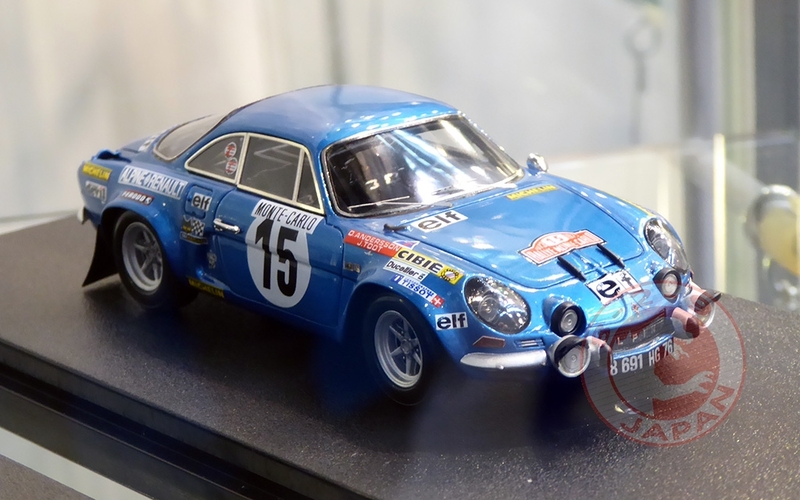 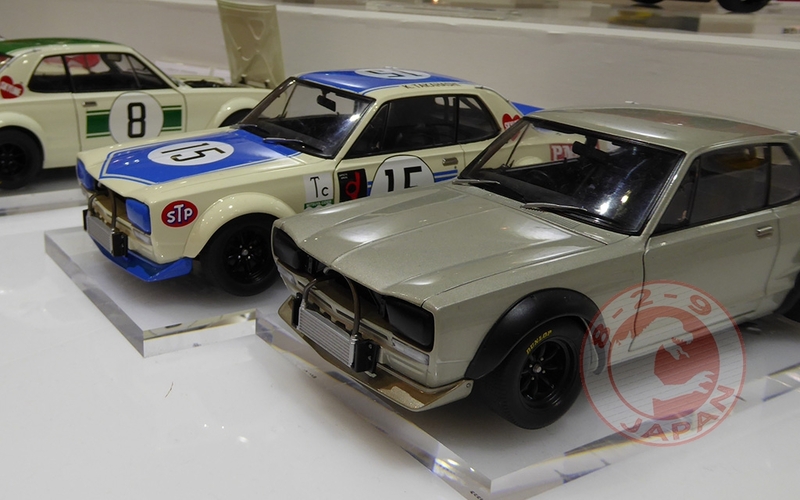 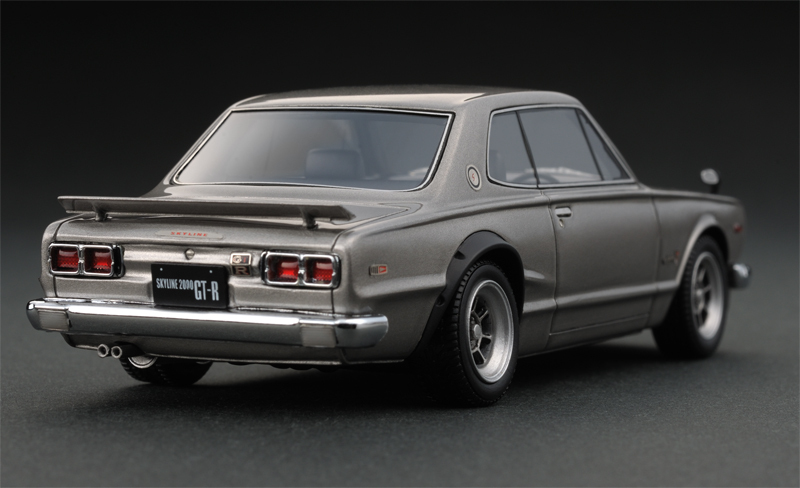 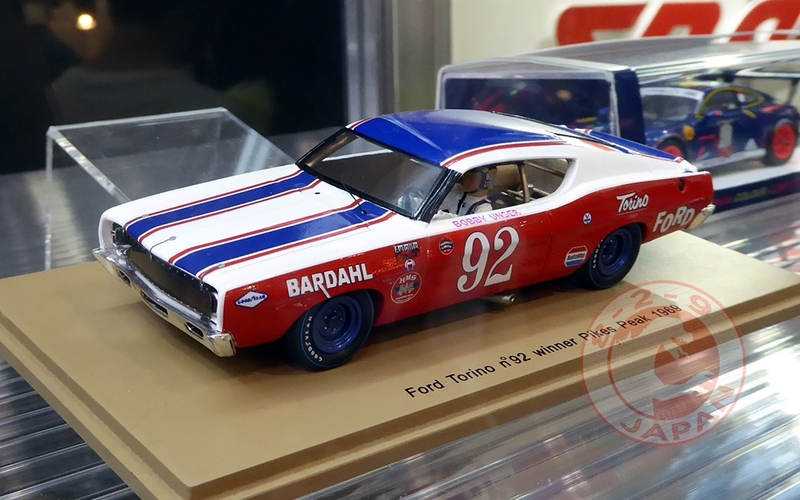 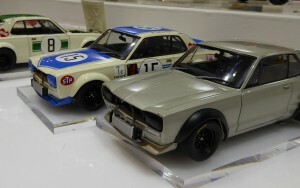 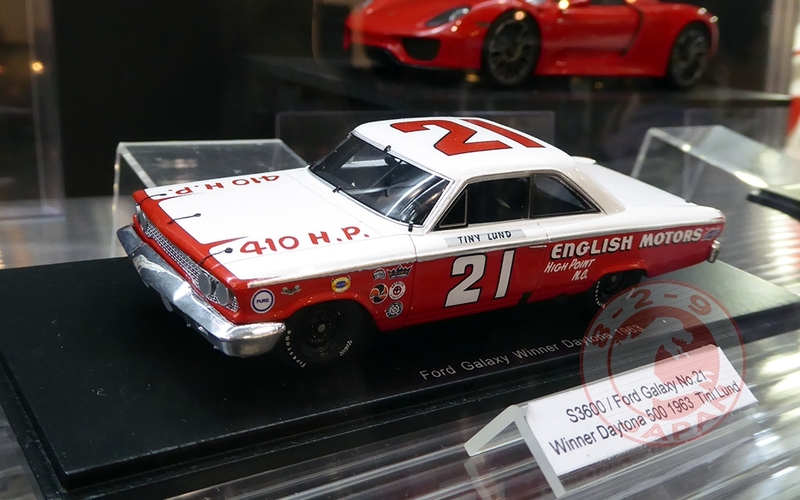 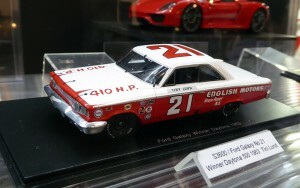 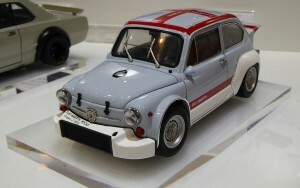 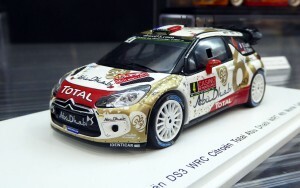 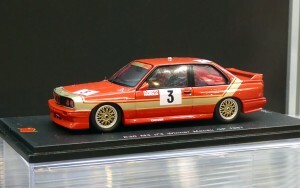 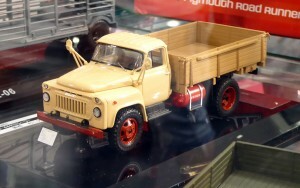 FrontiArt was proudly displaying beautiful 1/18 scale models. 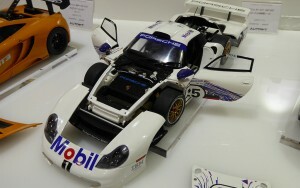 That’s it for Kyosho. 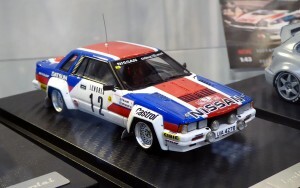 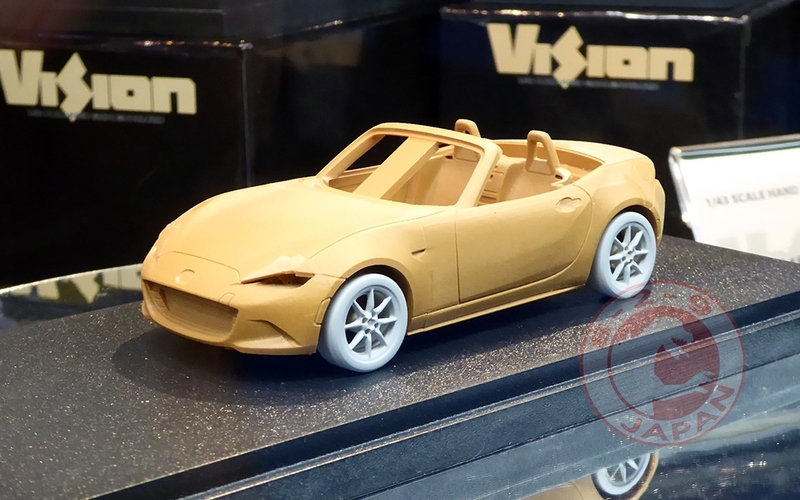 The 1/64 resin line revealed last year has completely disappeared from the listings and was certainly cancelled after many customers let know their concerns about the price.